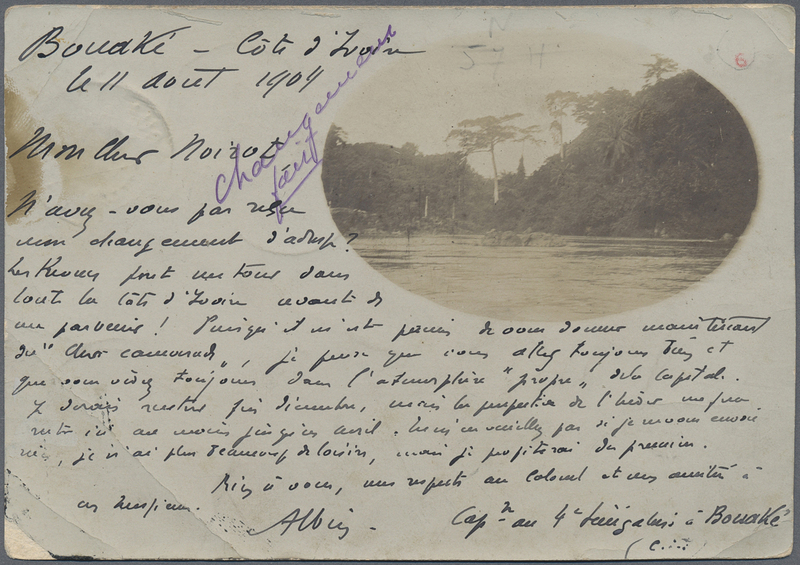 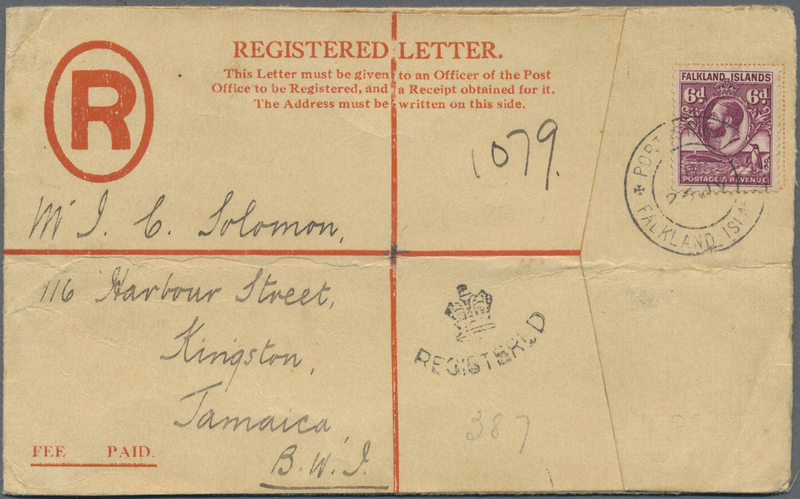 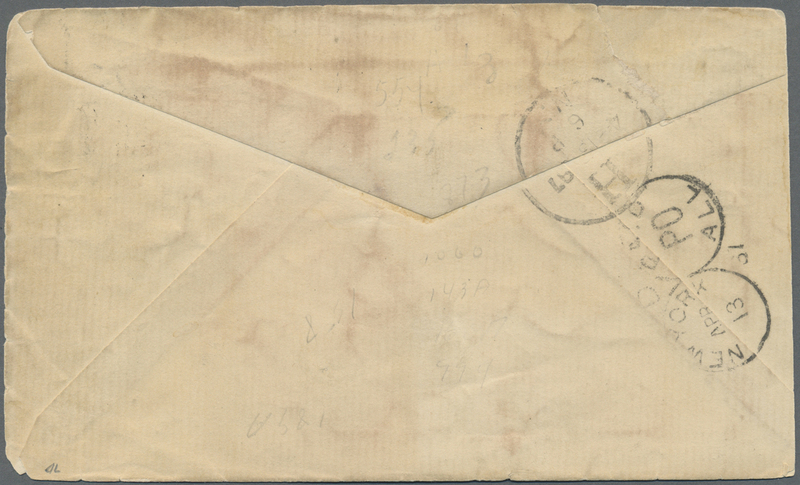 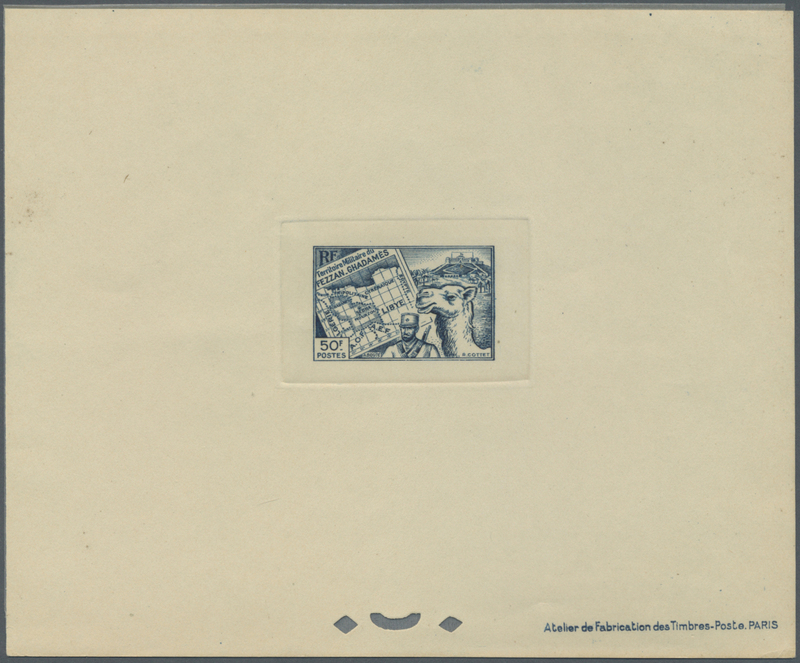 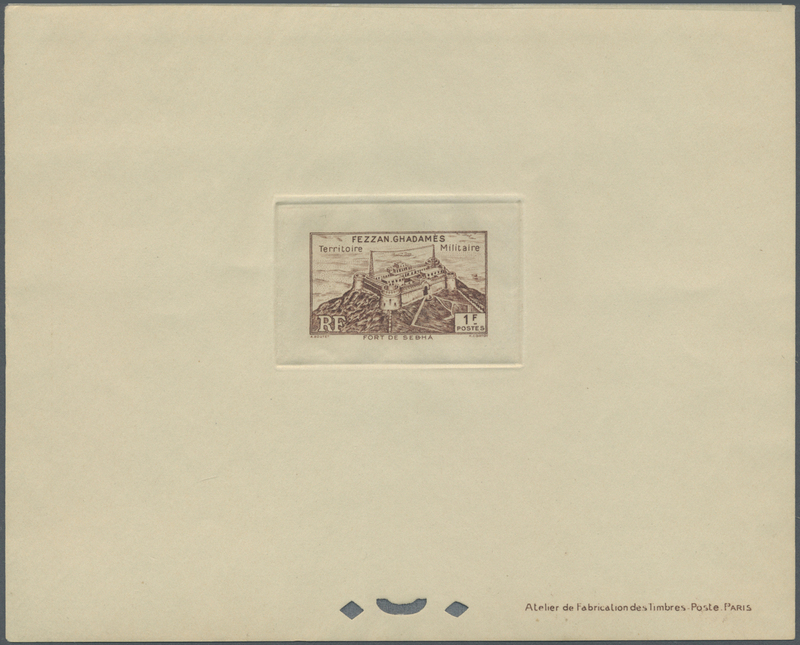 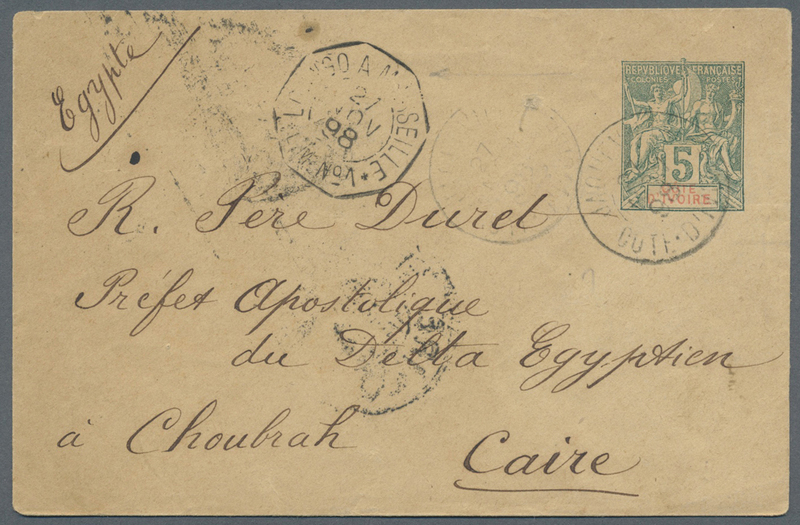 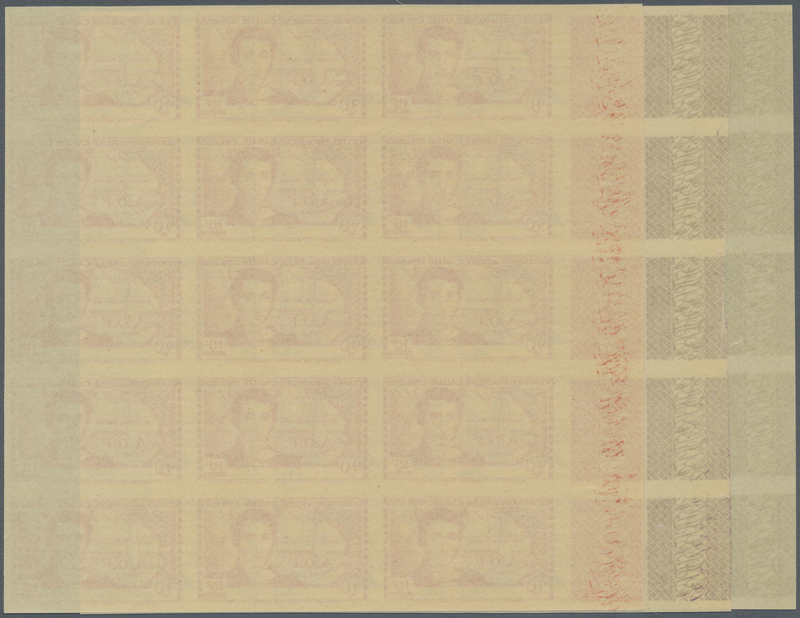 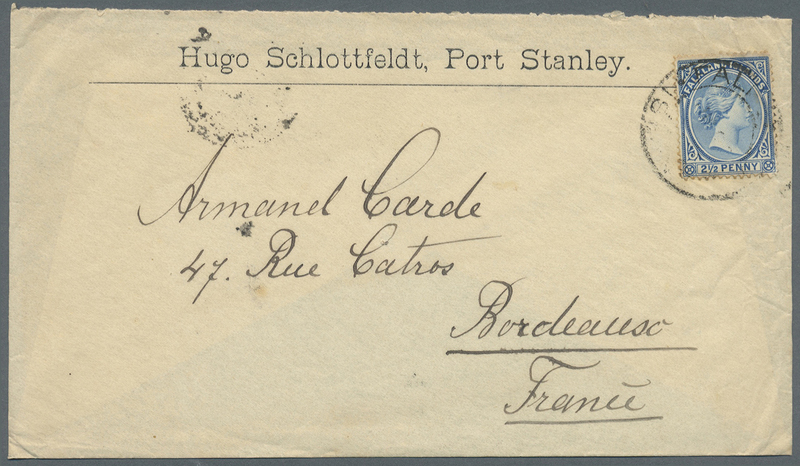 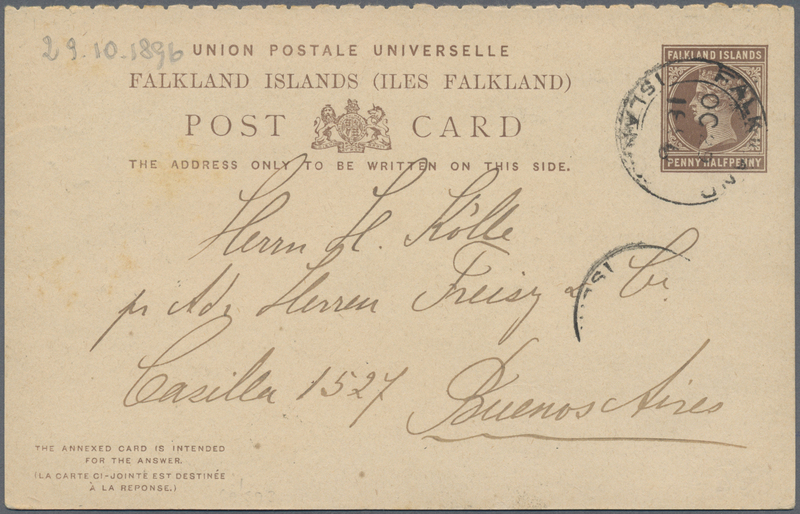 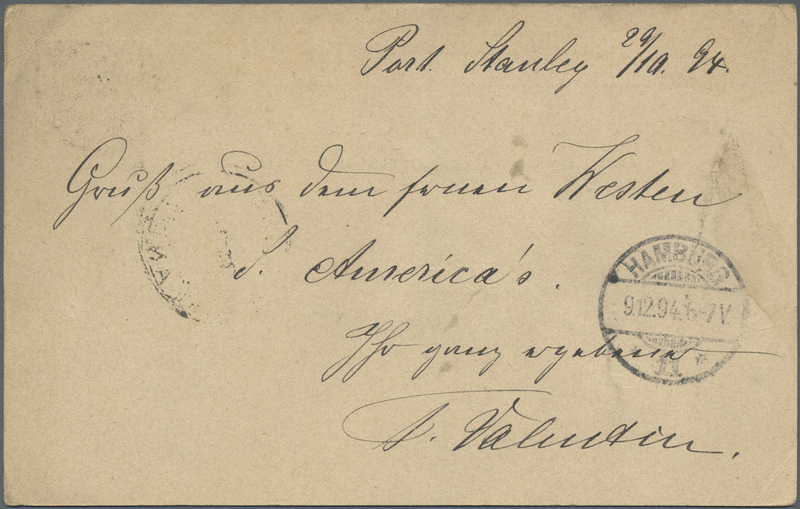 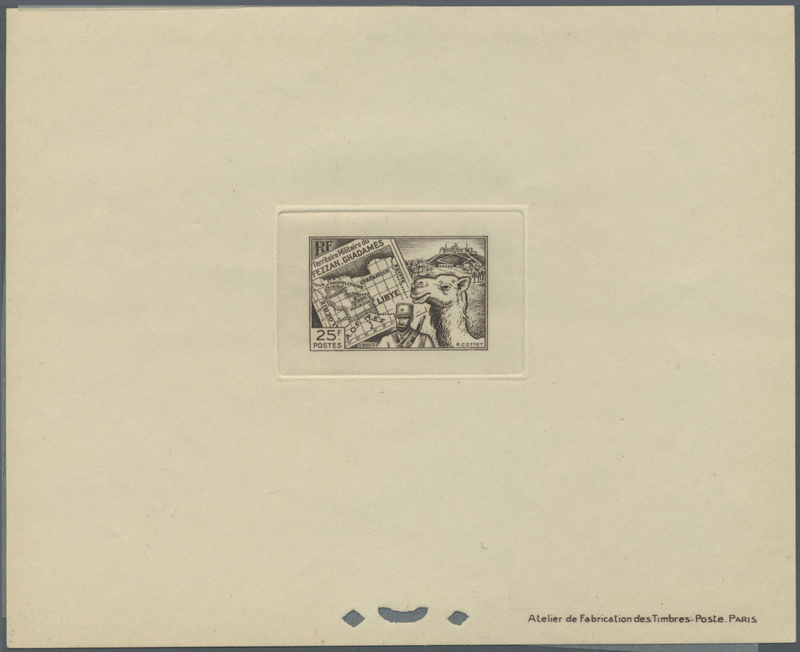 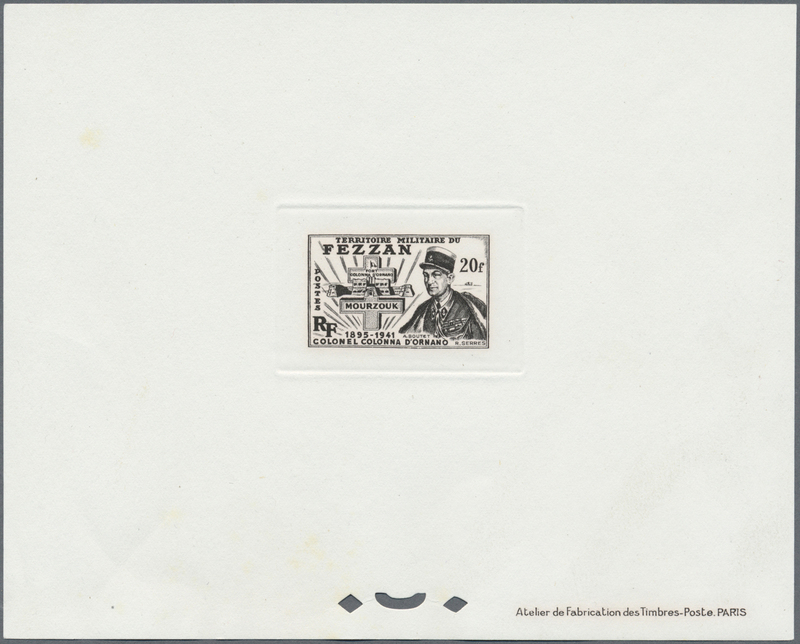 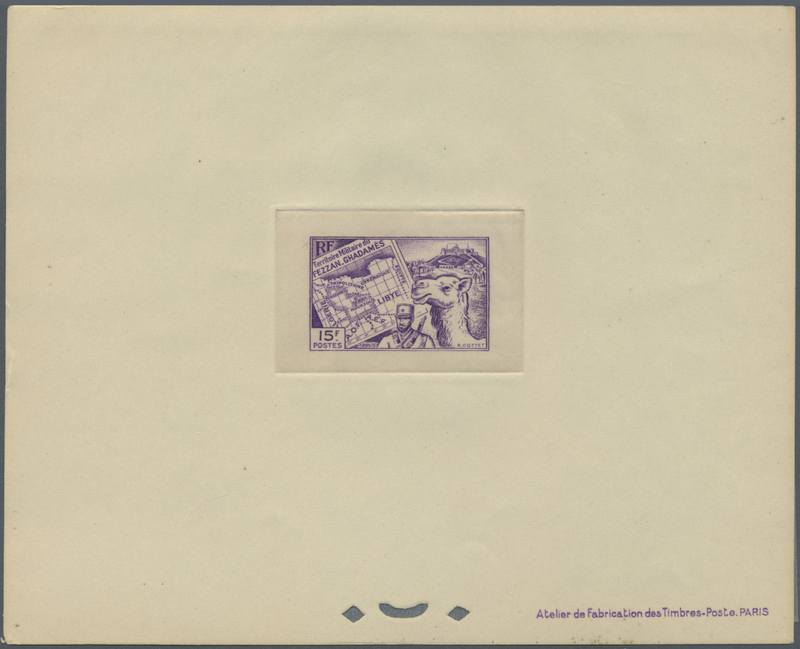 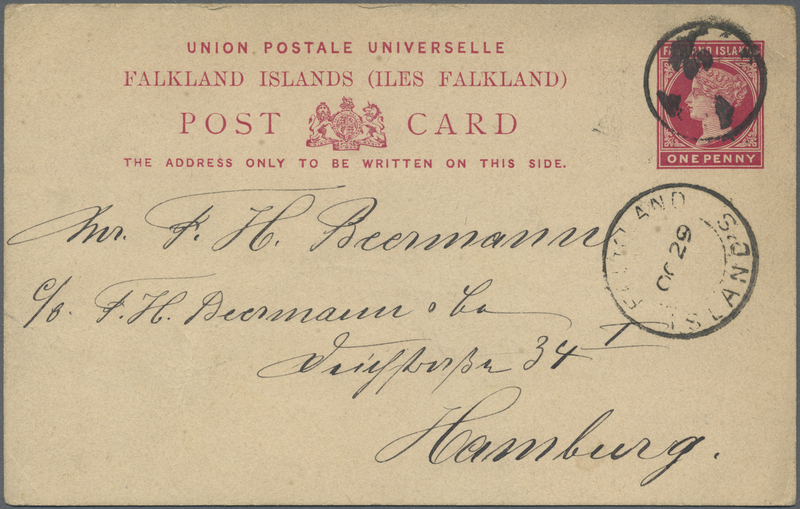 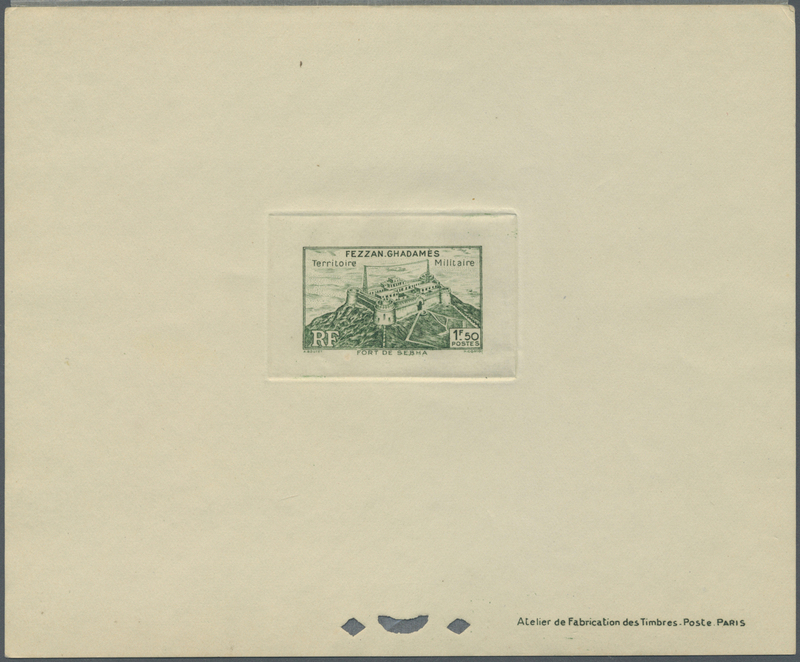 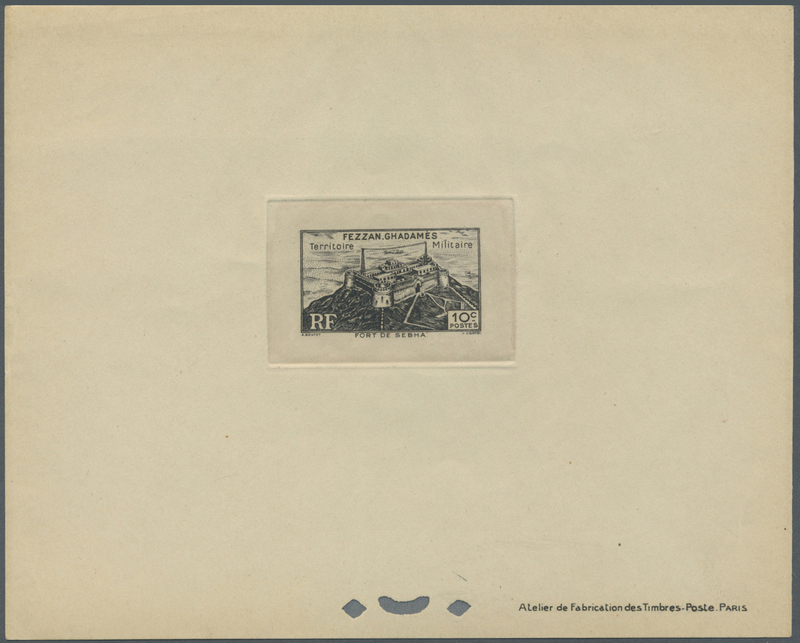 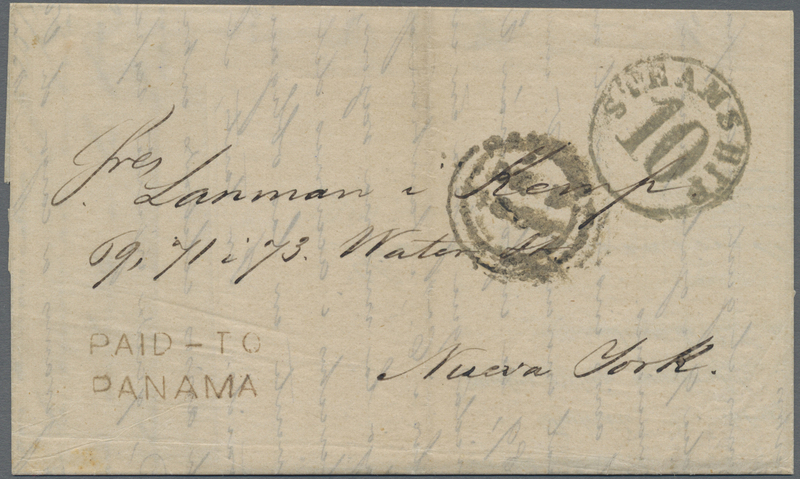 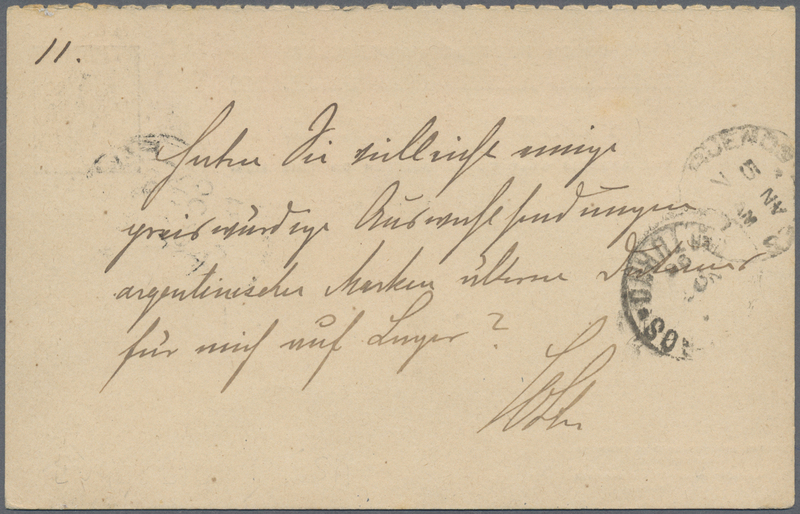 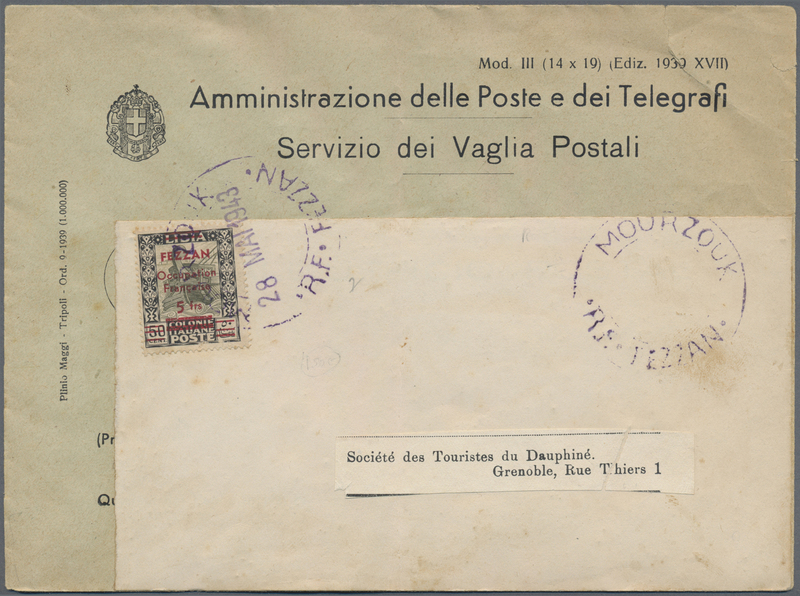 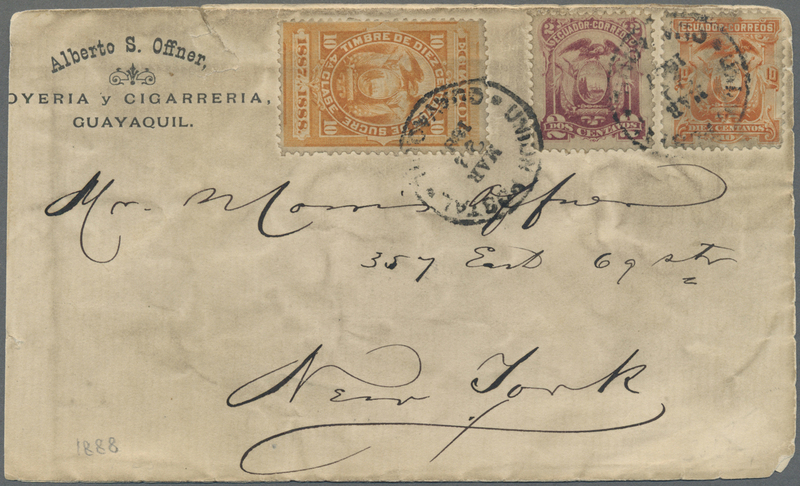 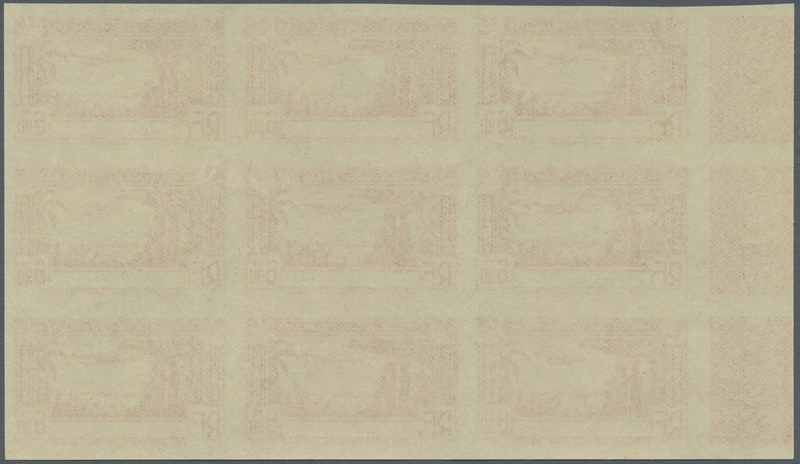 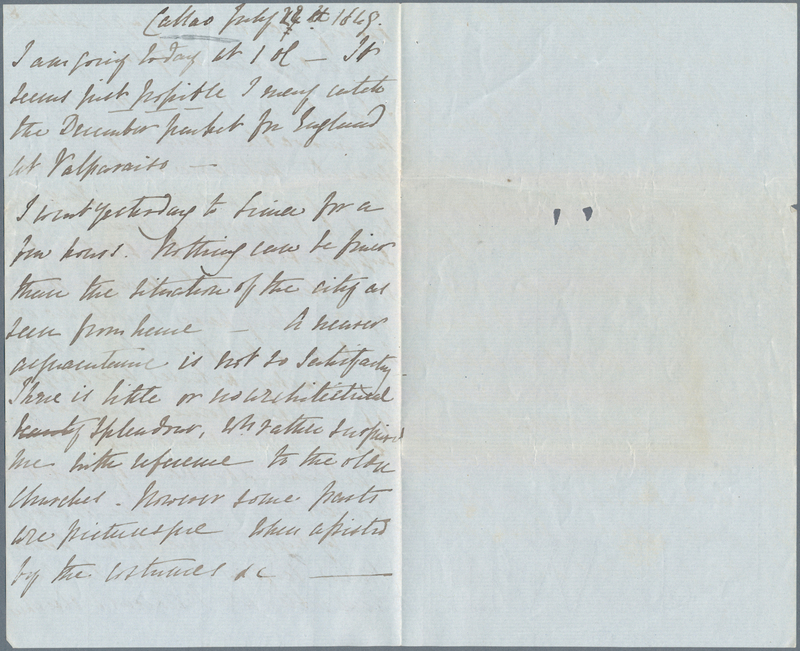 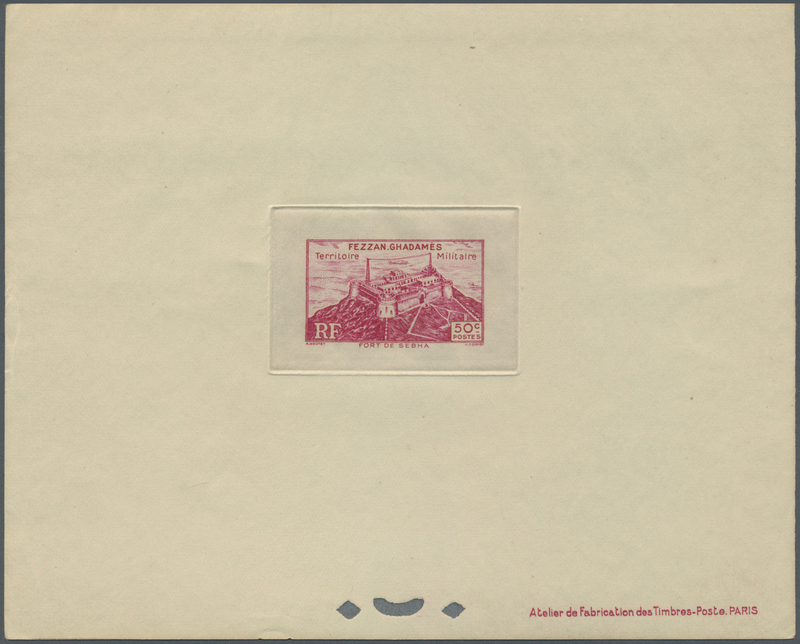 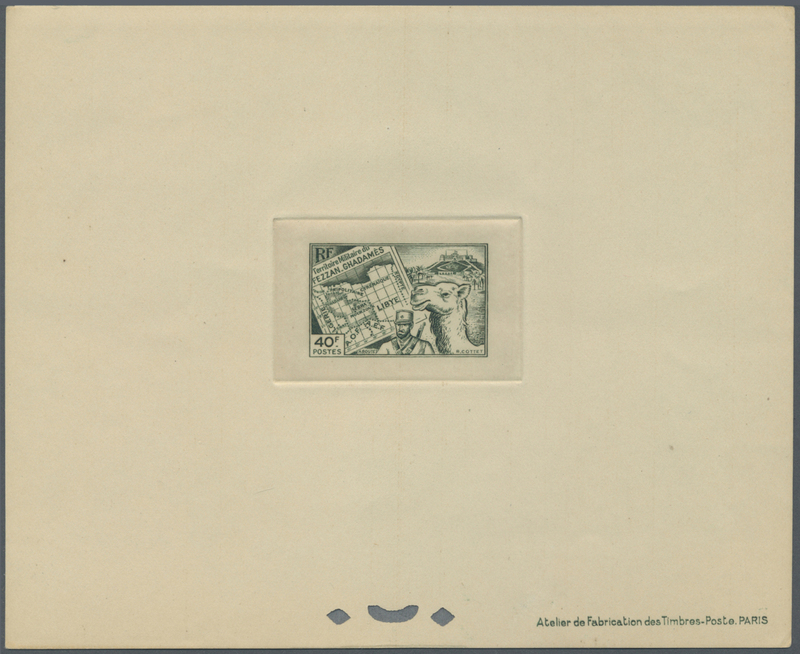 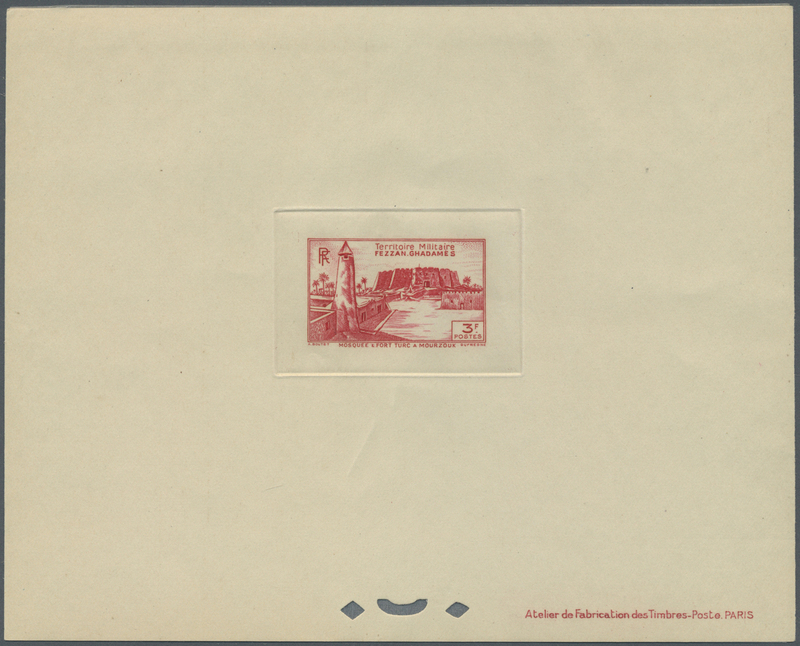 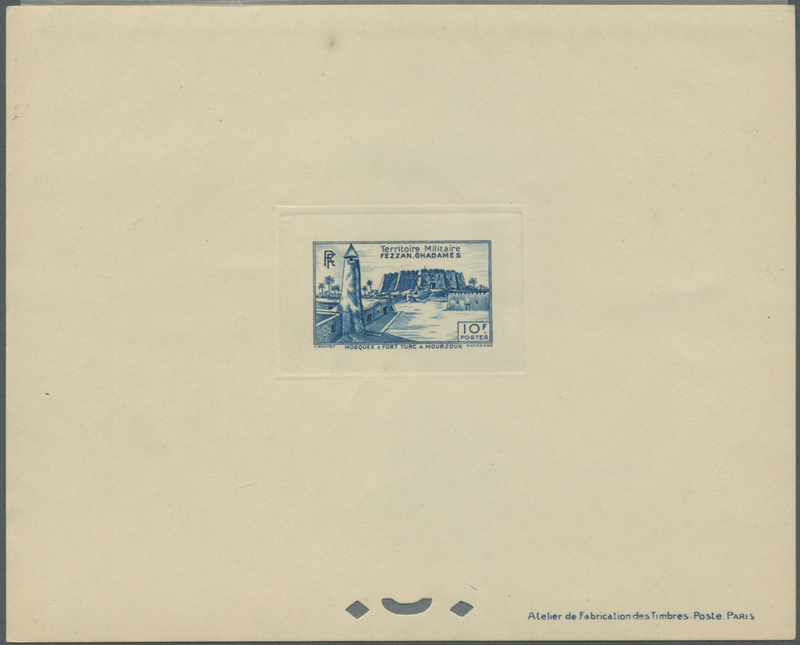 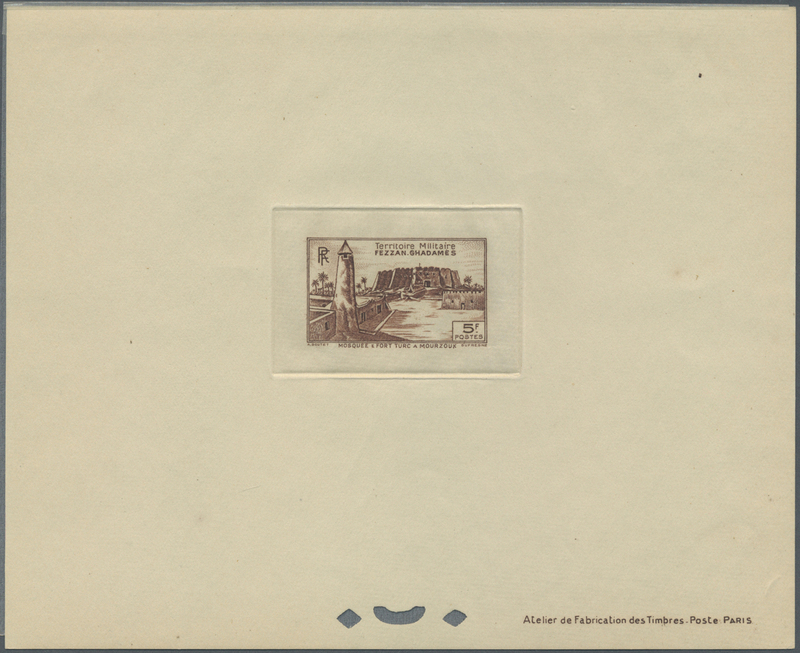 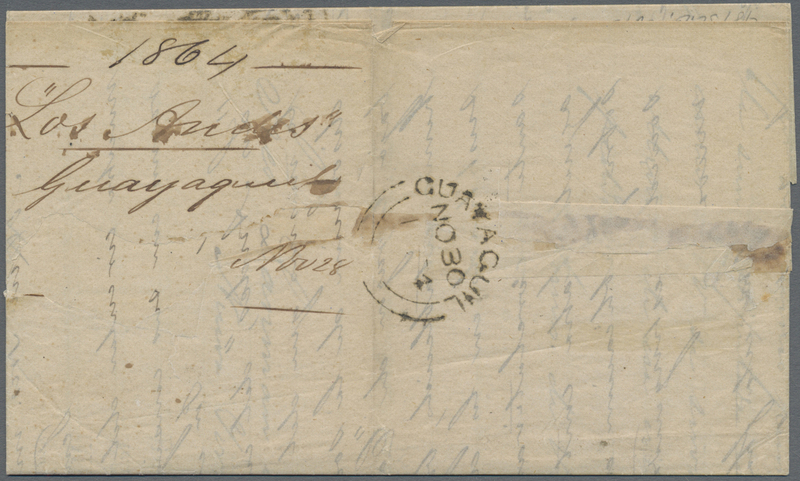 11863 Brief (cover) 1888, 2 and 10 C. together with 10 C. fiscal stamp on business letter from "Alberto S. Offner Cigarreria" in Guayaquil to New York. 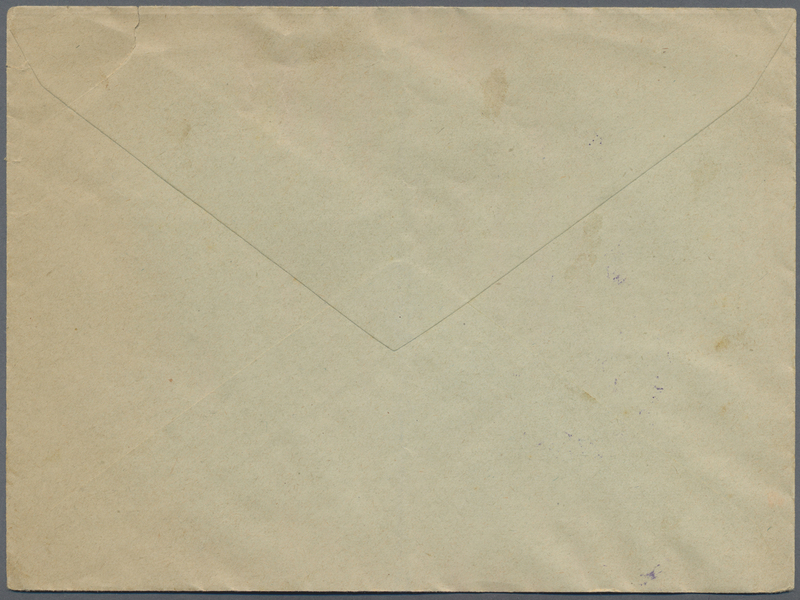 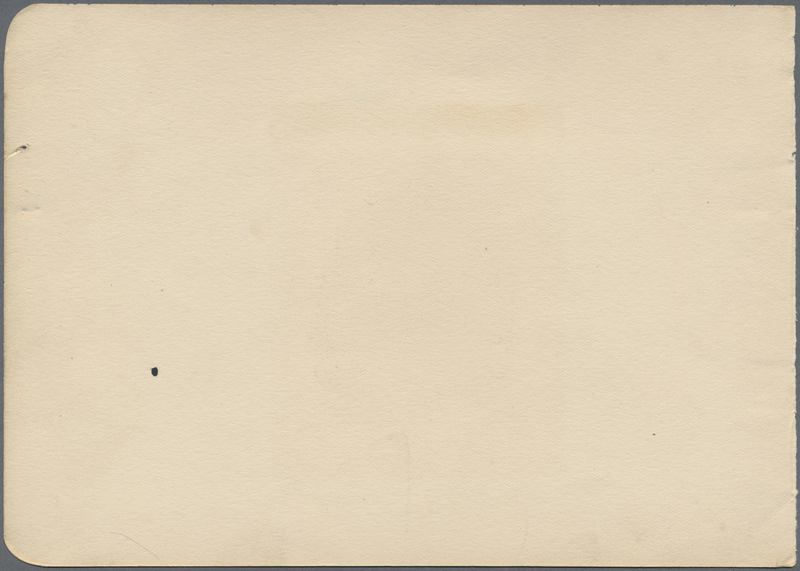 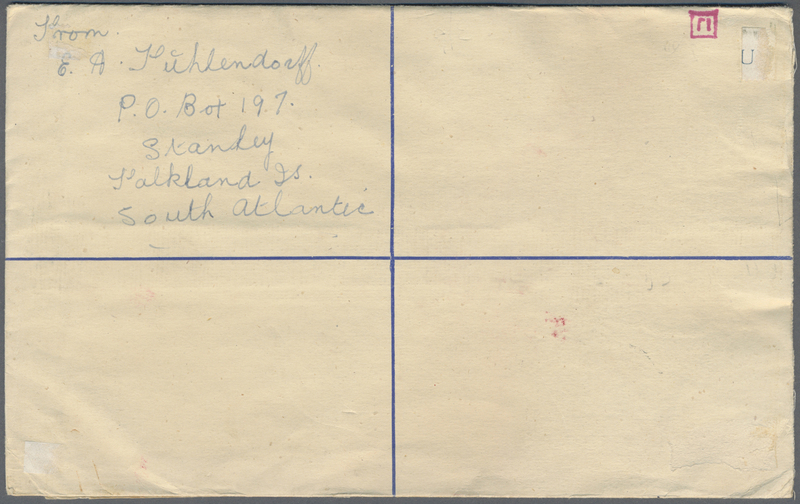 The envelope (faults) is a little shortened on the left hand side. 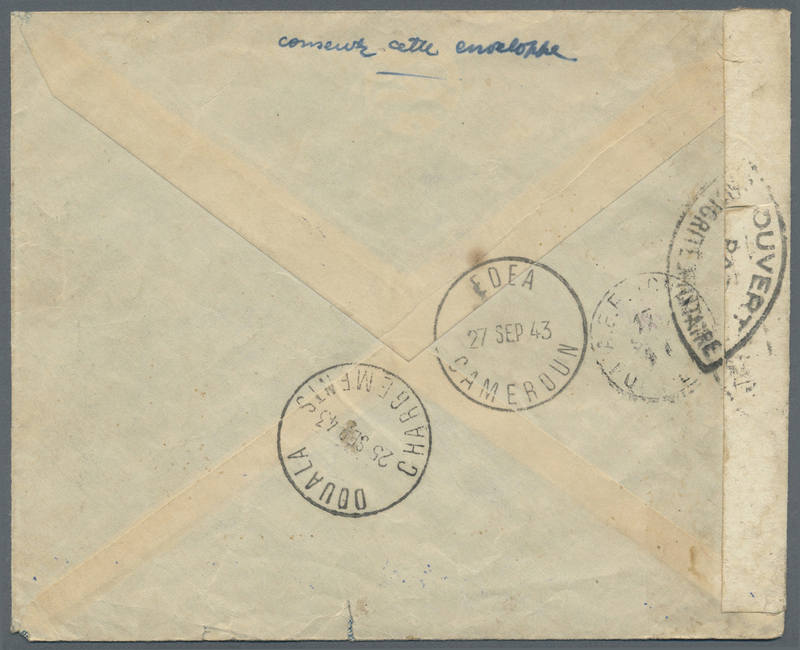 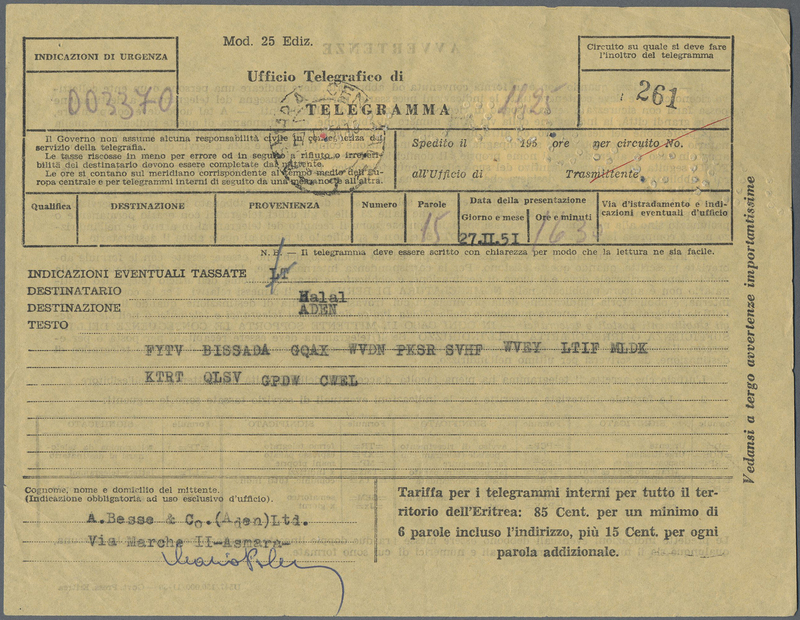 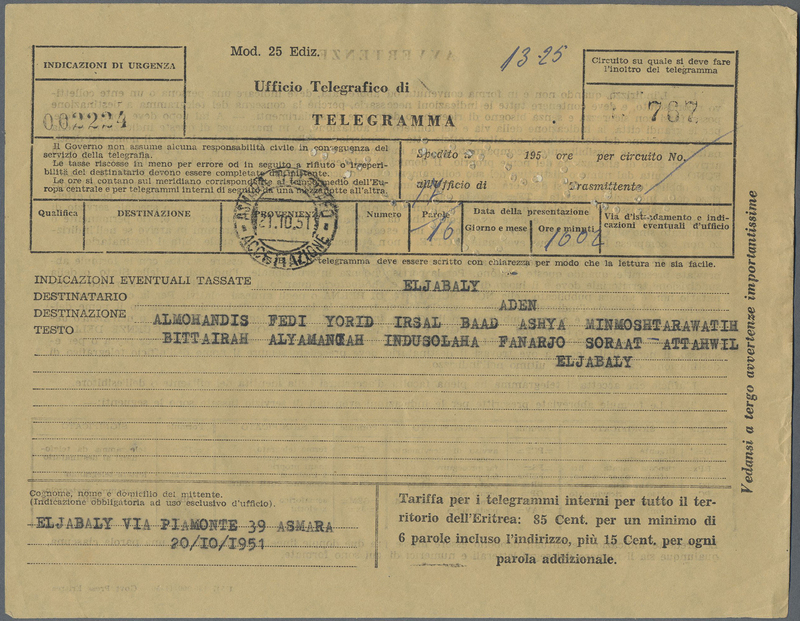 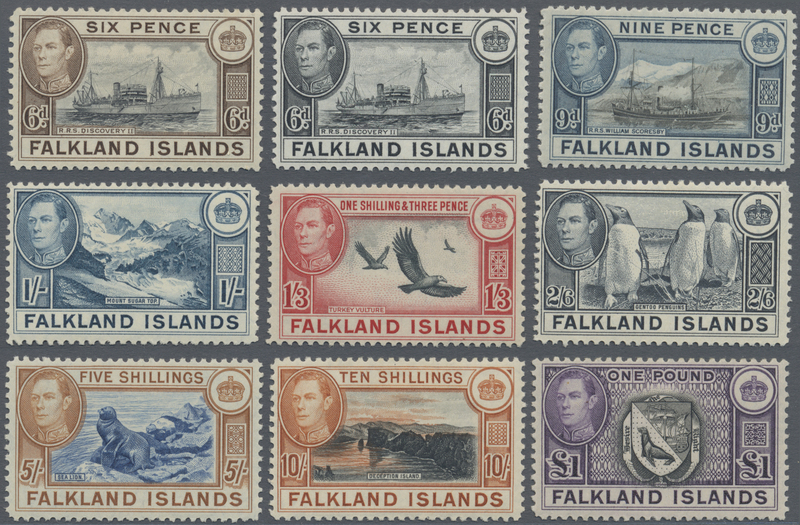 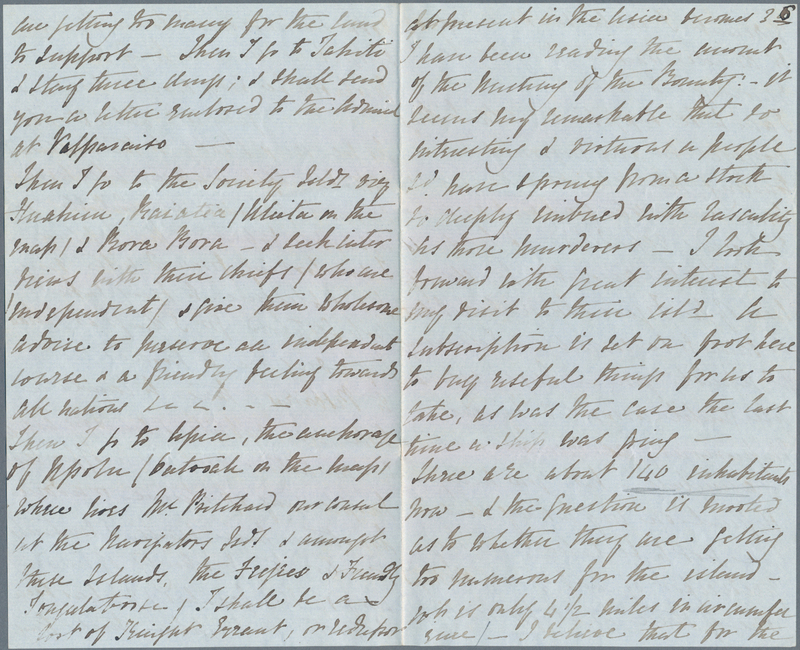 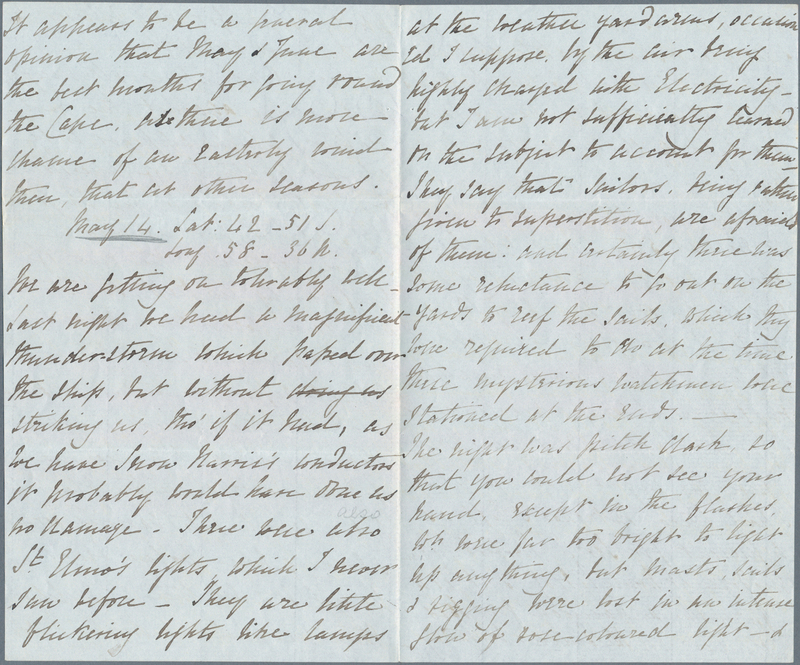 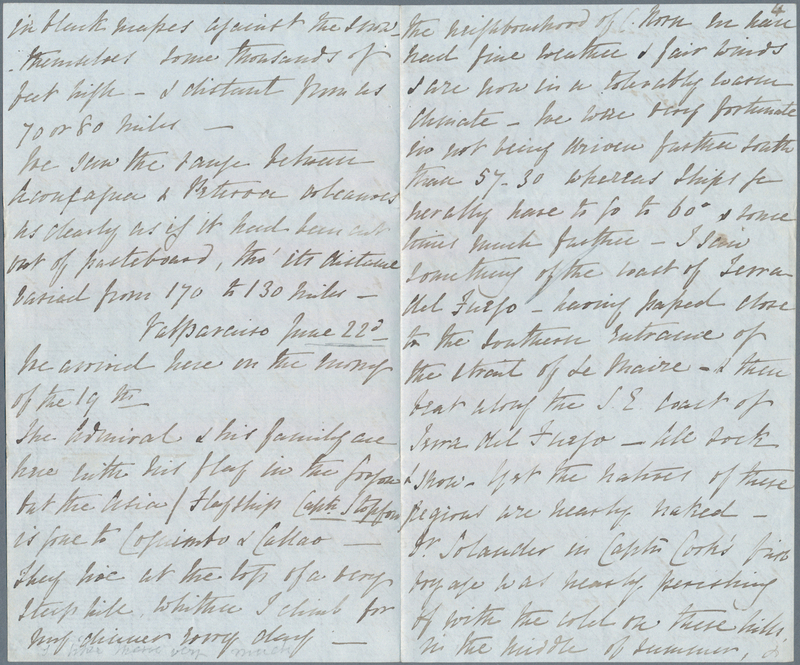 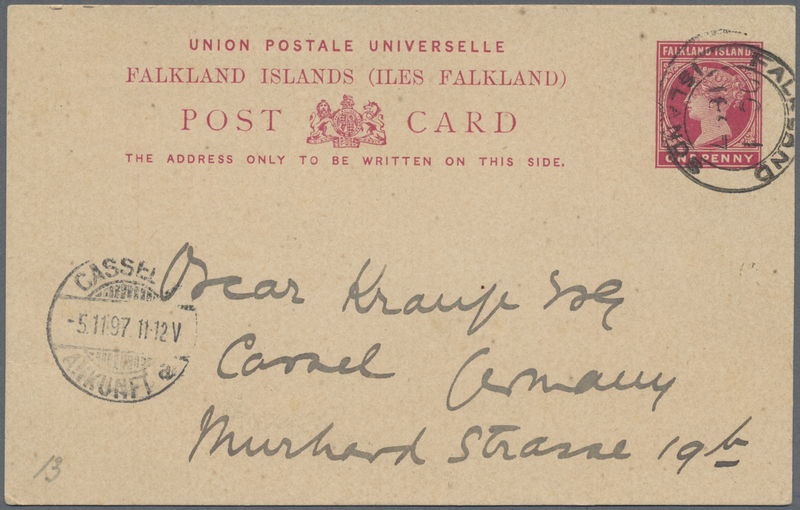 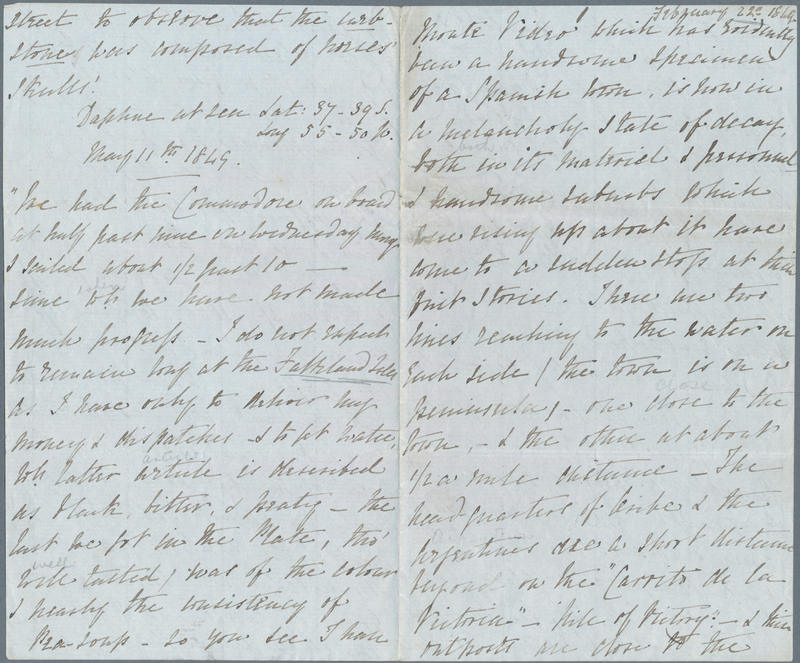 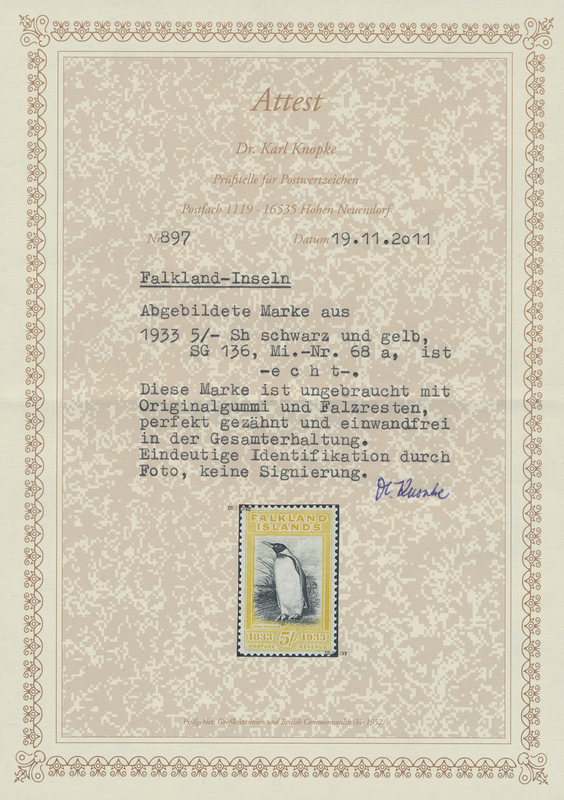 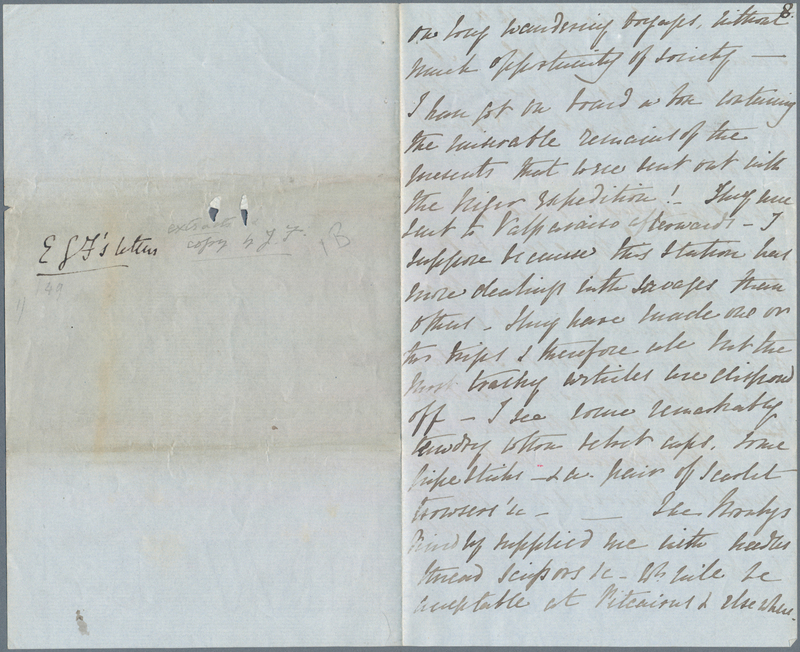 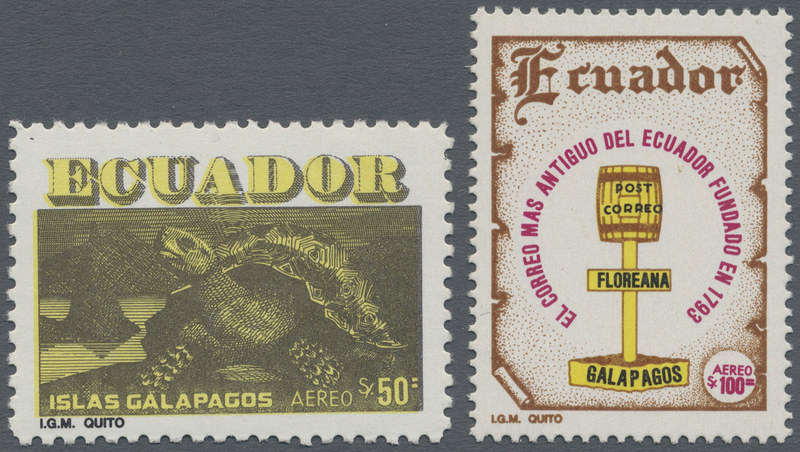 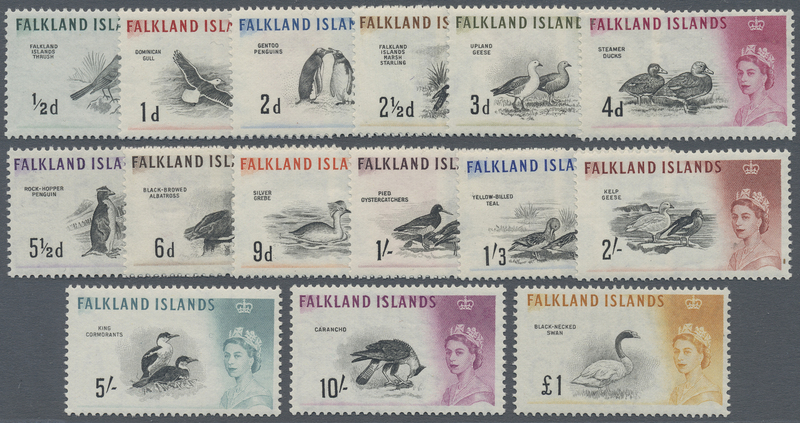 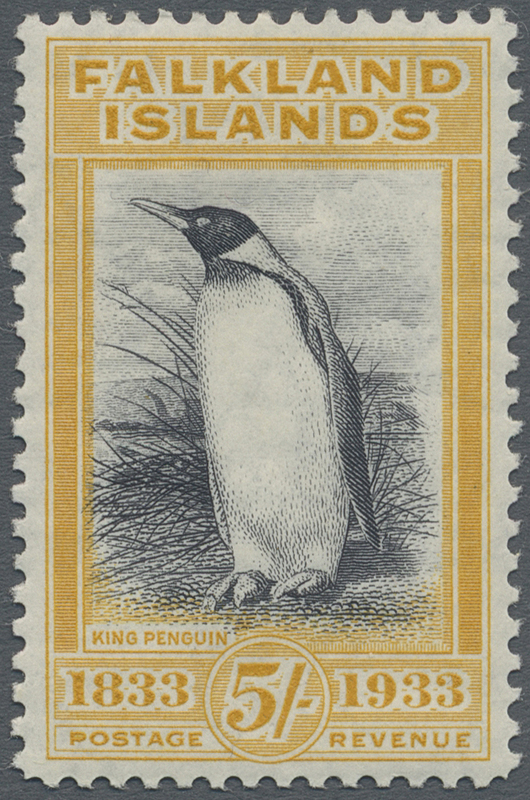 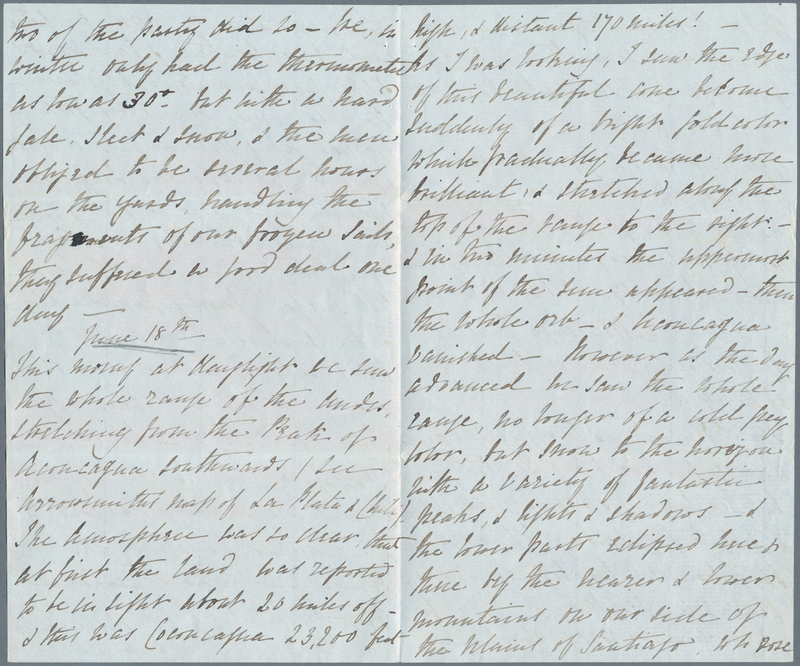 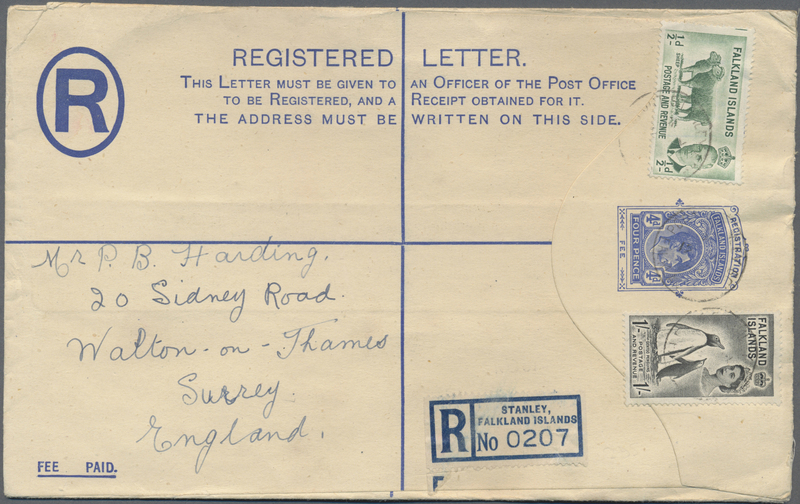 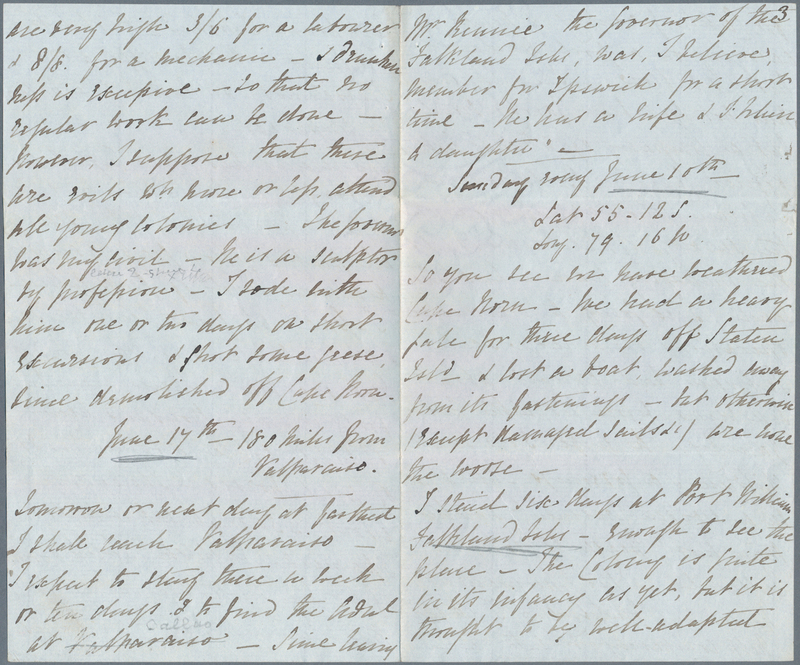 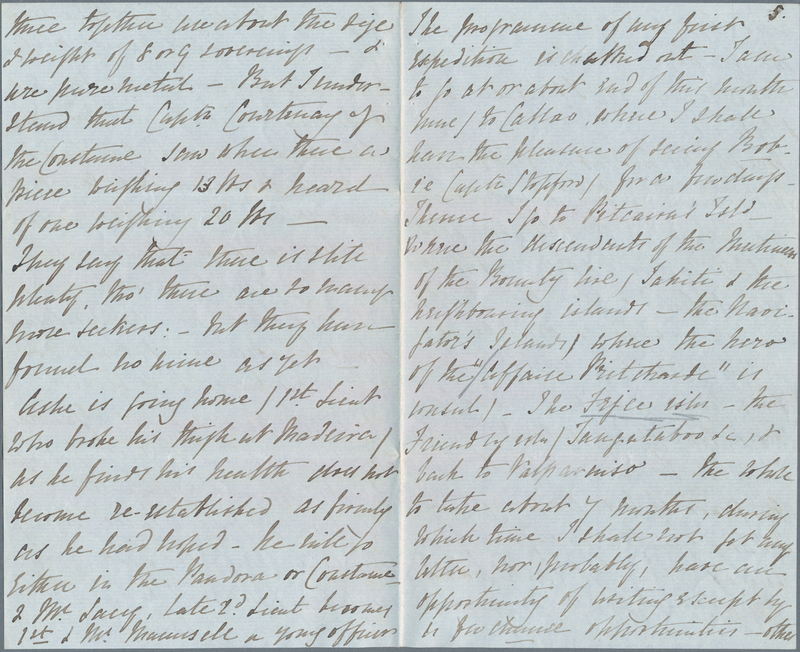 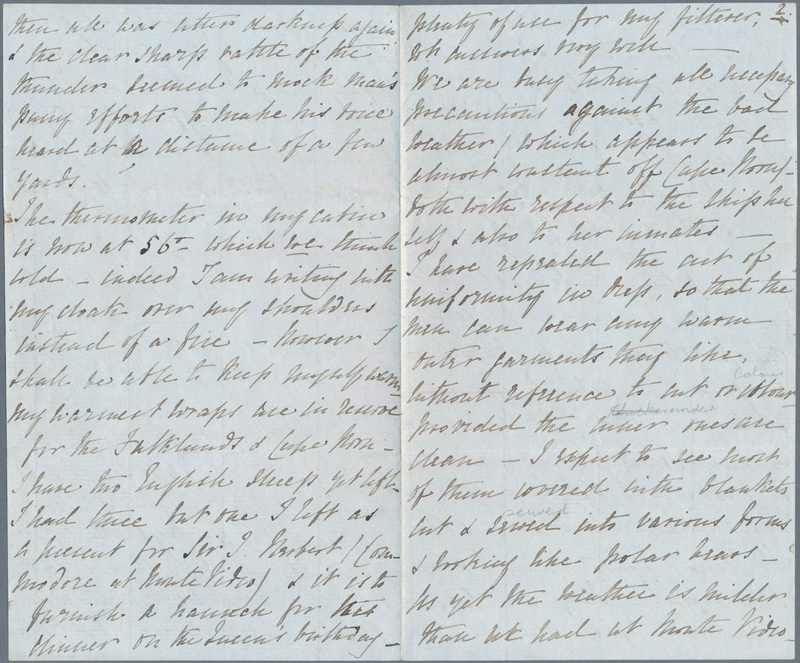 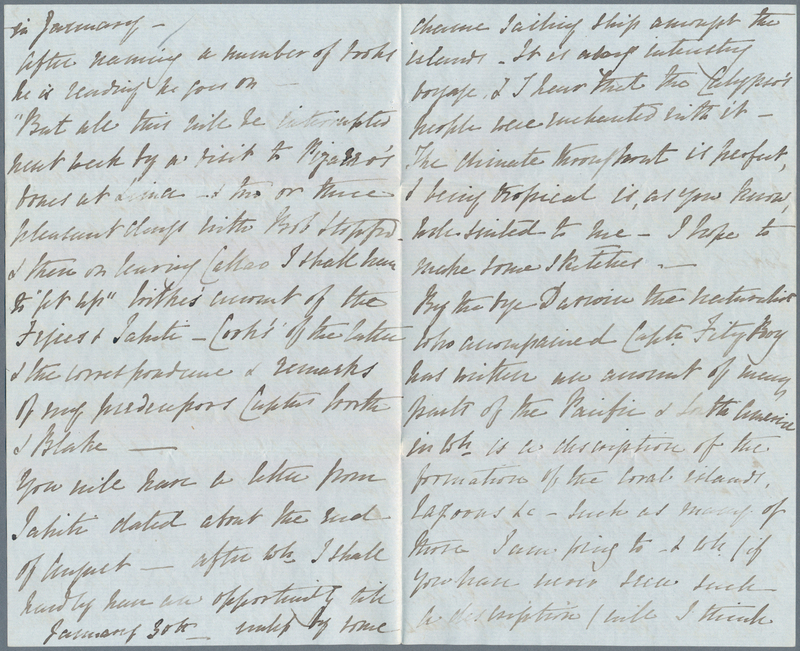 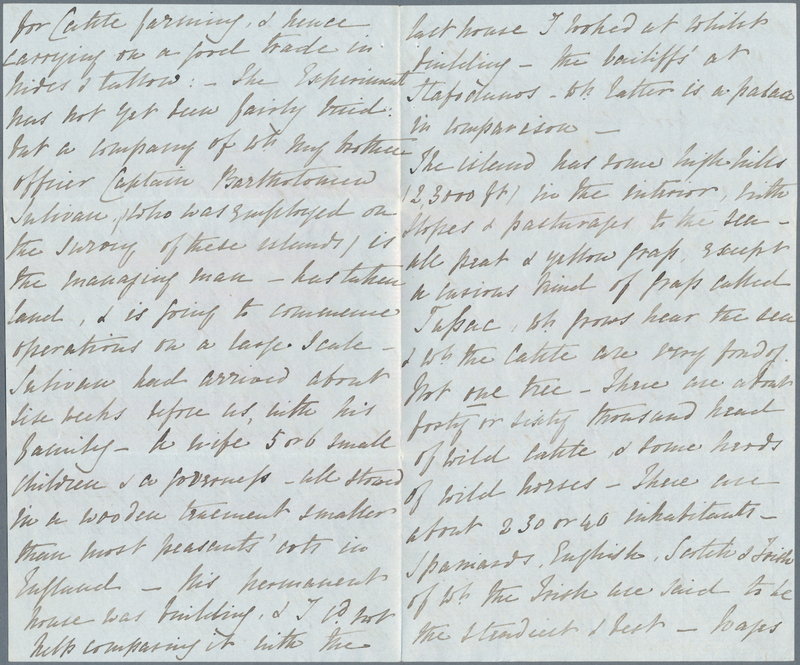 Rare use of fiscals as postage. 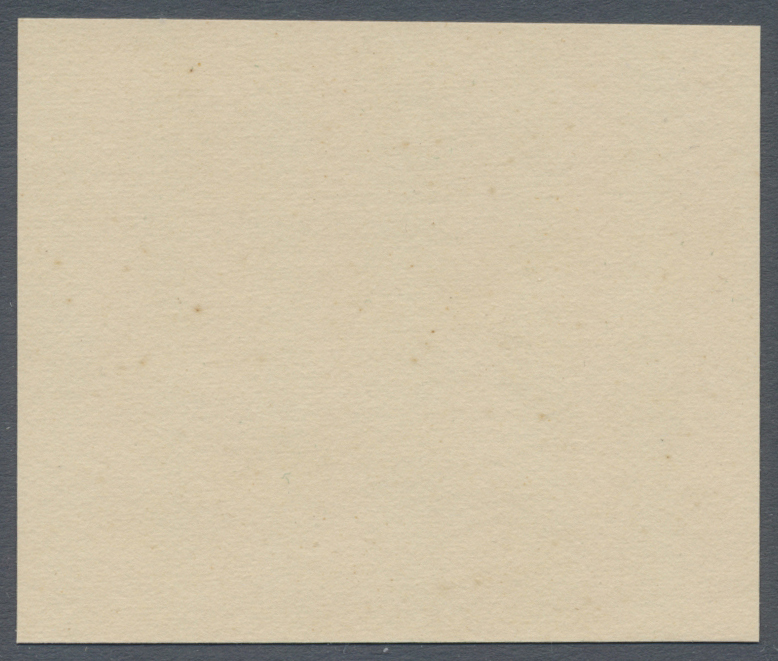 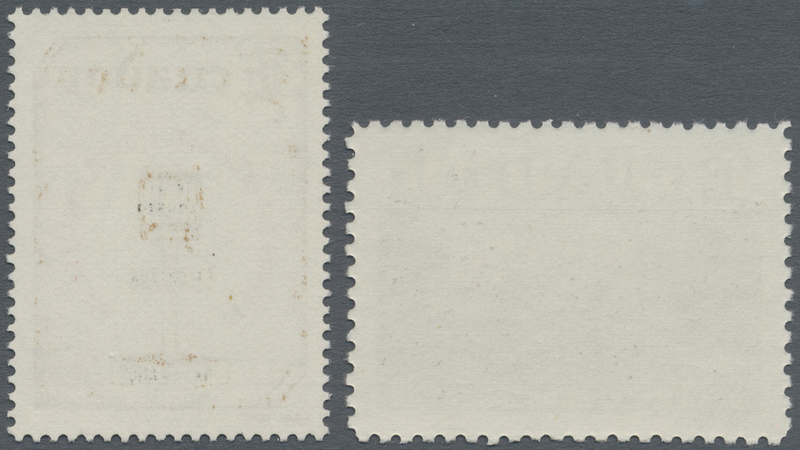 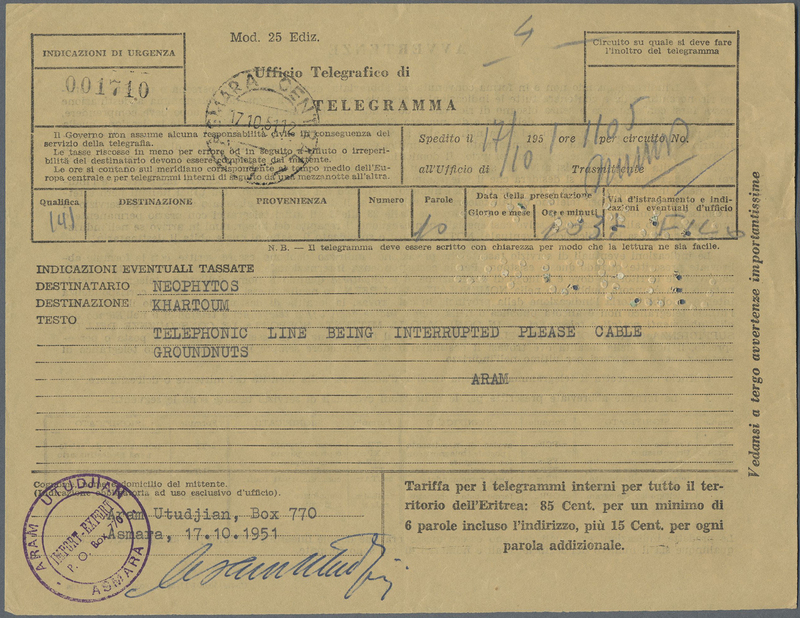 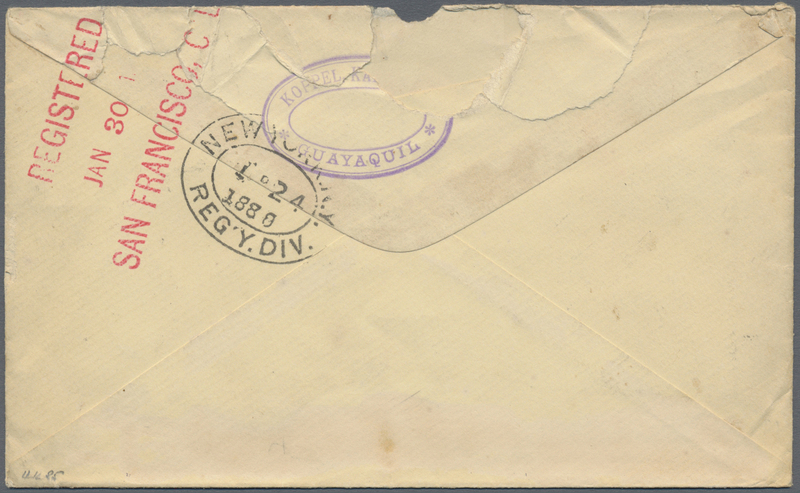 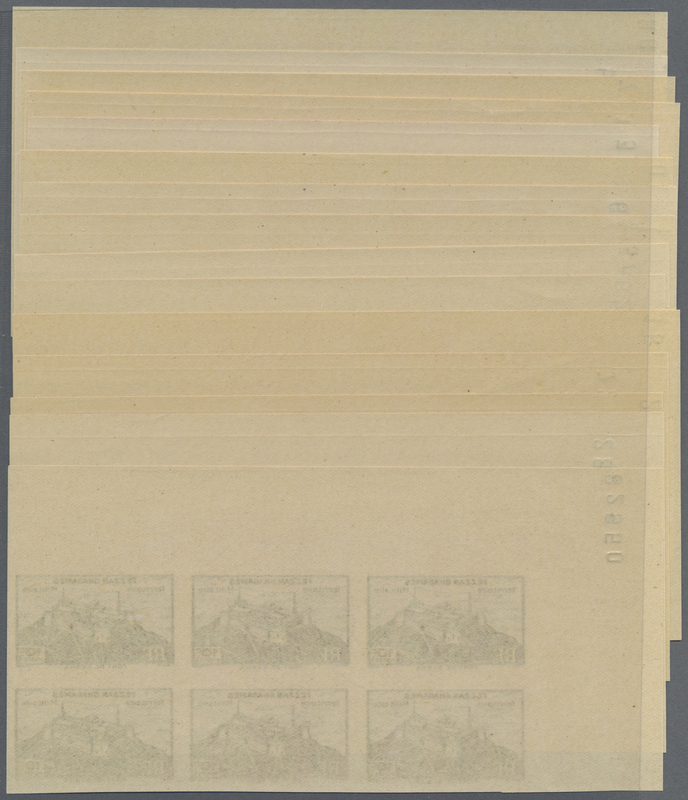 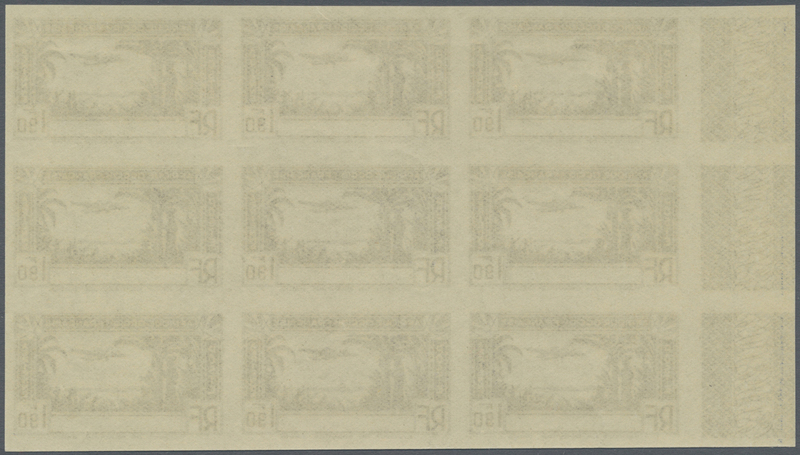 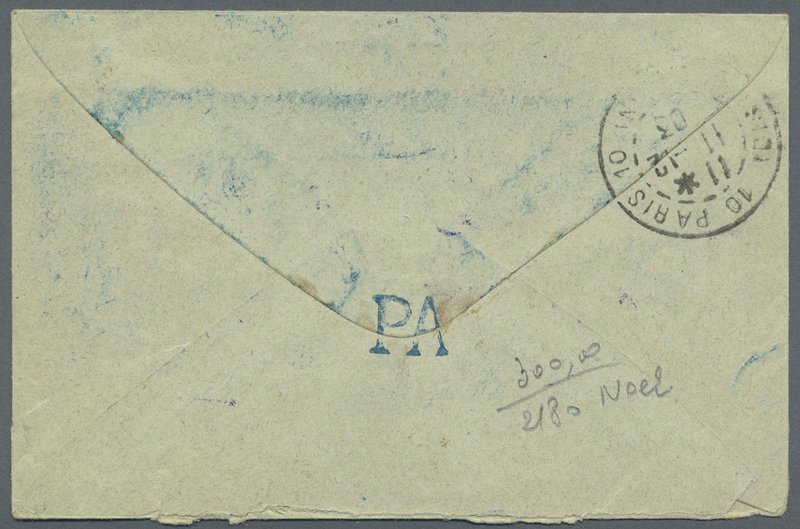 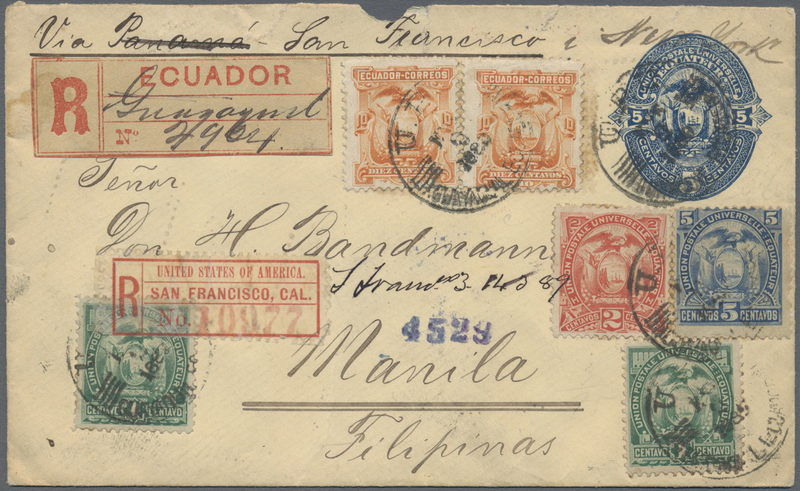 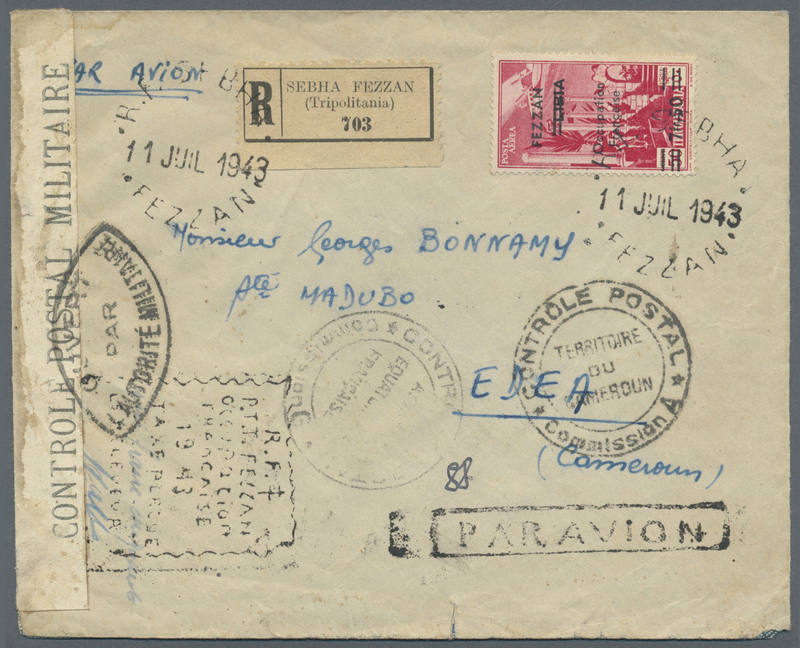 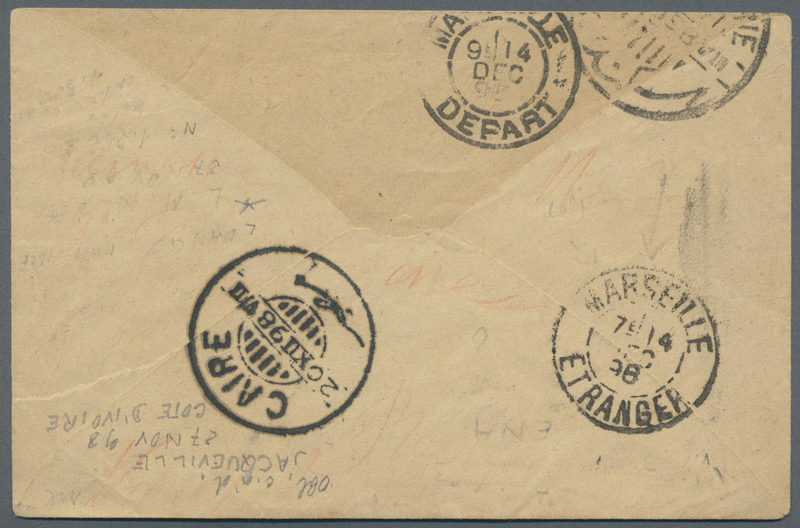 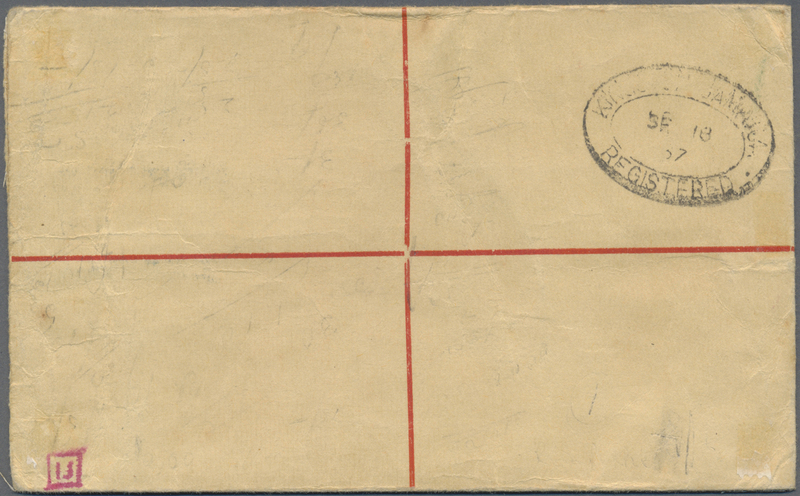 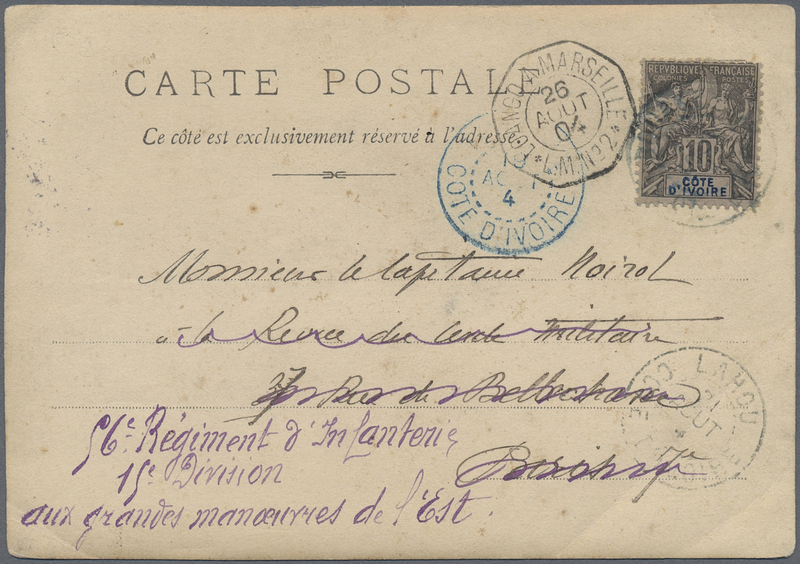 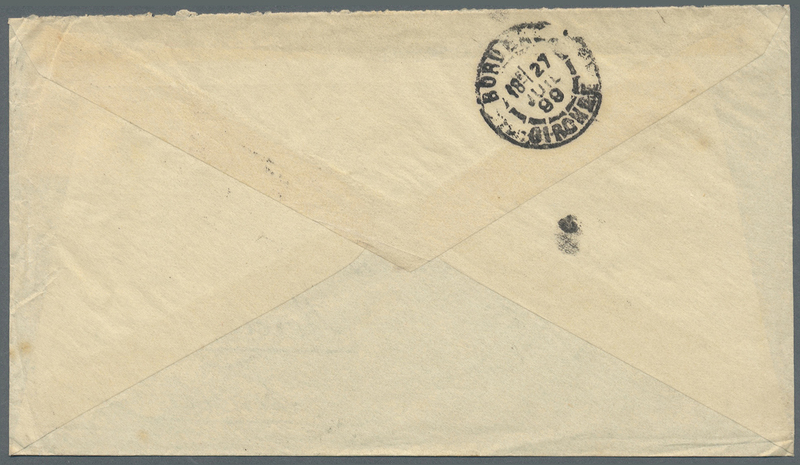 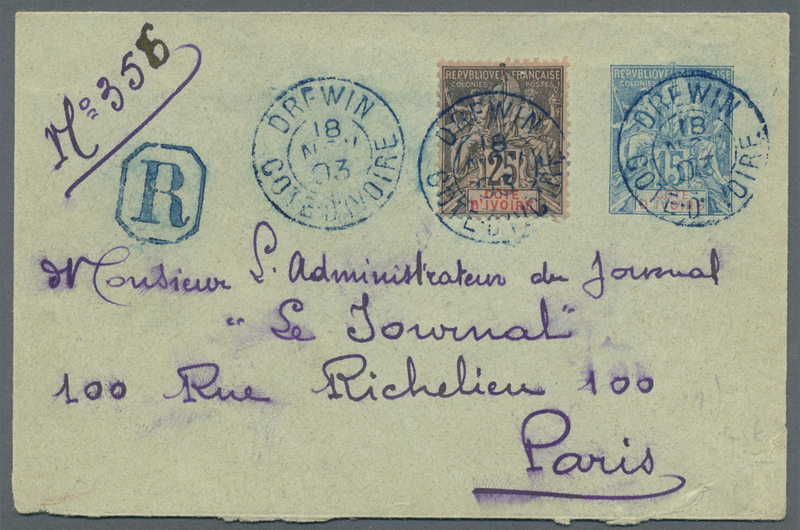 11866 Ganzsache (Complete) 1888, envelope (faults) 5 C. blue uprated, 1, 2, 5 C. (UPU tricolour) and 1 C., 10 C. (2) tied "UPU GUAYAQUIL ENE 9 1888" registered o Manila/Philippines, transits "NEW YORK" and "SAN FRACISCO JAN 30" on reverse, backflap incomplete. 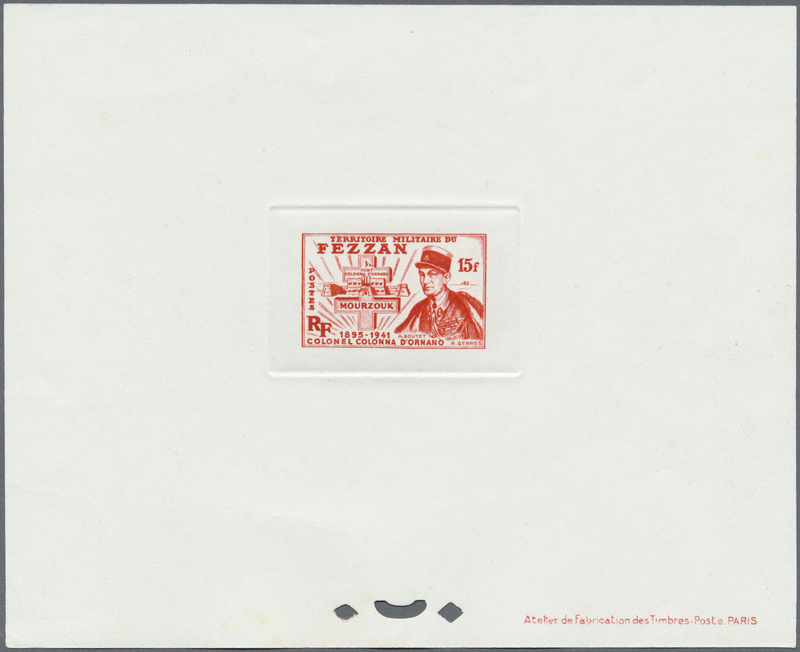 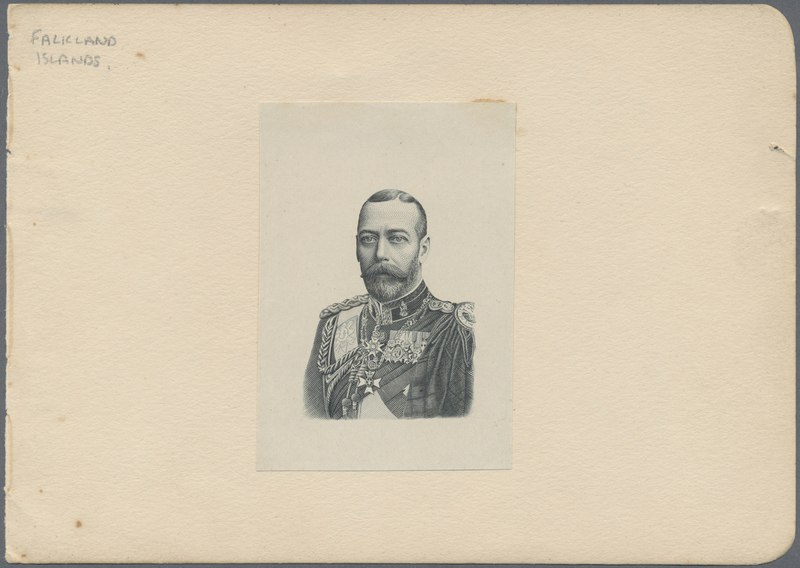 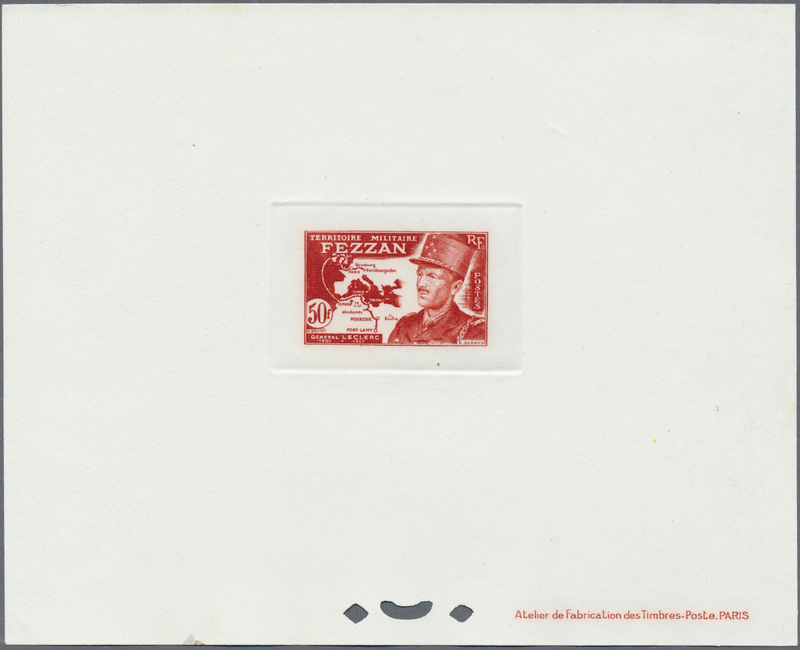 11879 ungebraucht (hinged) * King Edward VII 1/2d, 1d, 2d lightly mounted mint and King George V wmk mult crown CA 1/2d to 1/- unmounted mint. 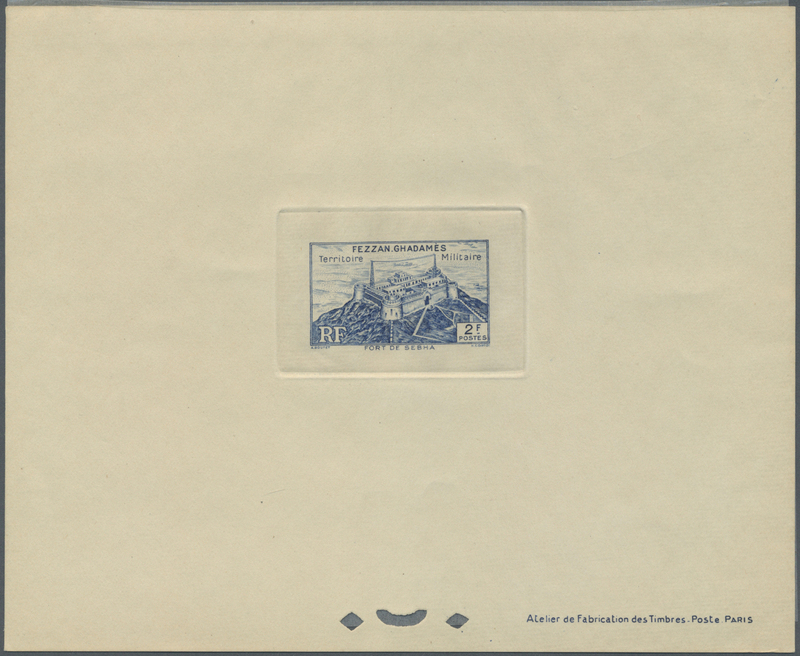 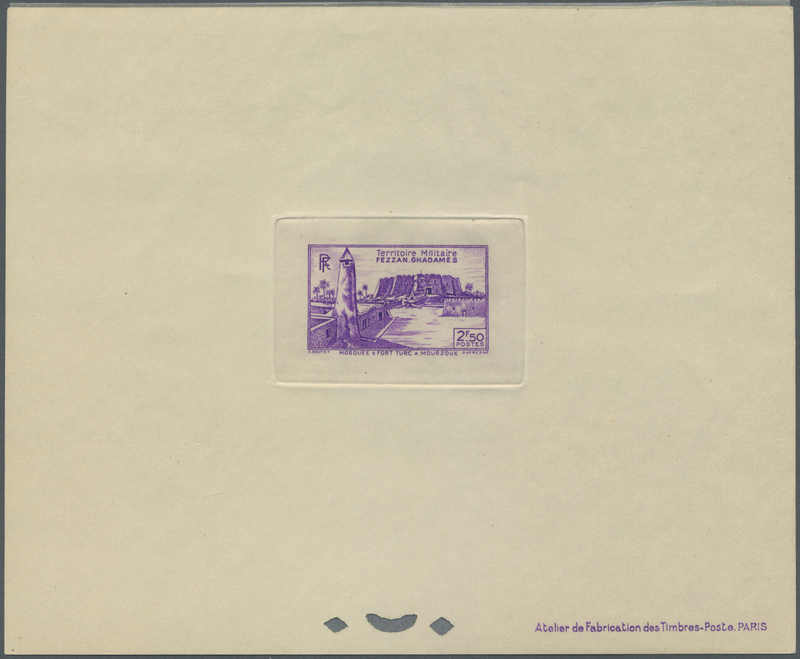 11898 ungebraucht ohne Gummi (unused without gum) (*) Epreuves (8) 1949. 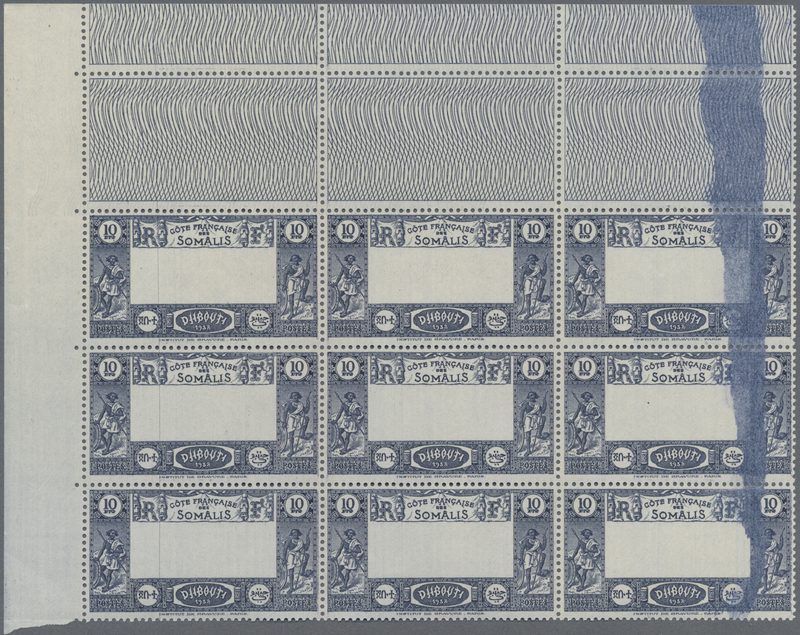 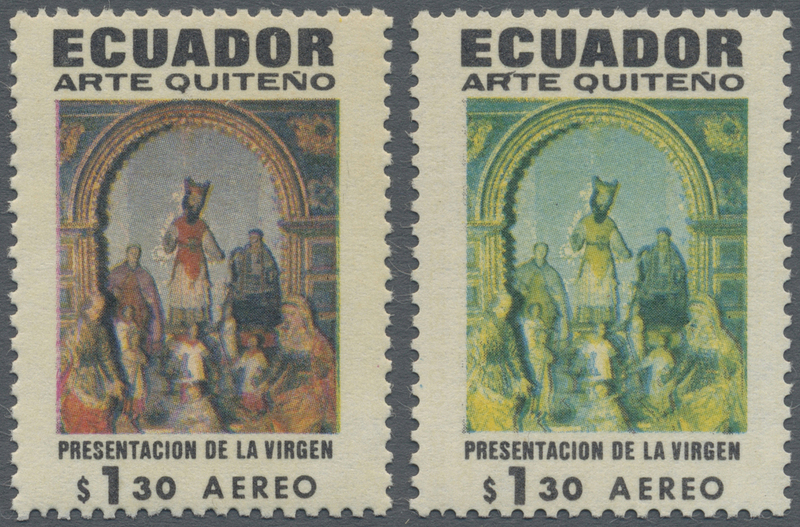 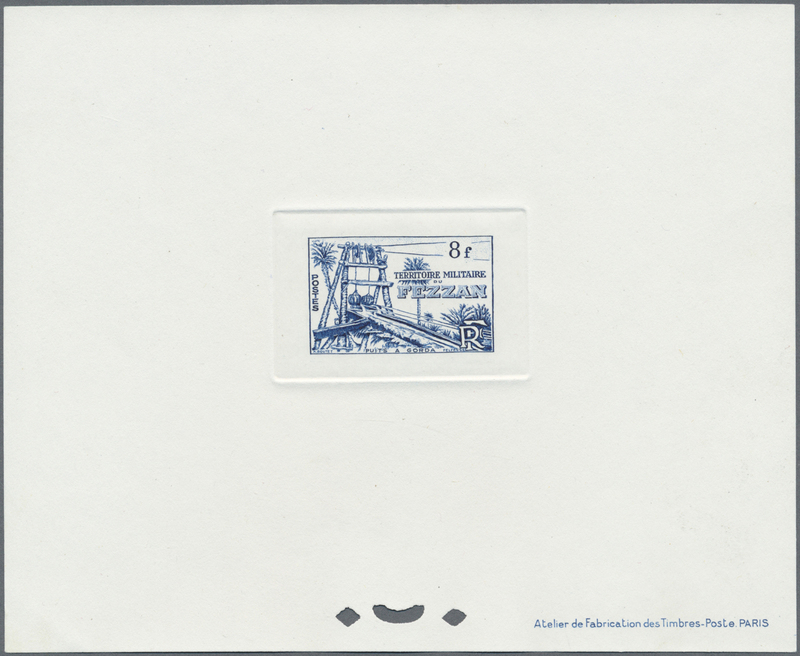 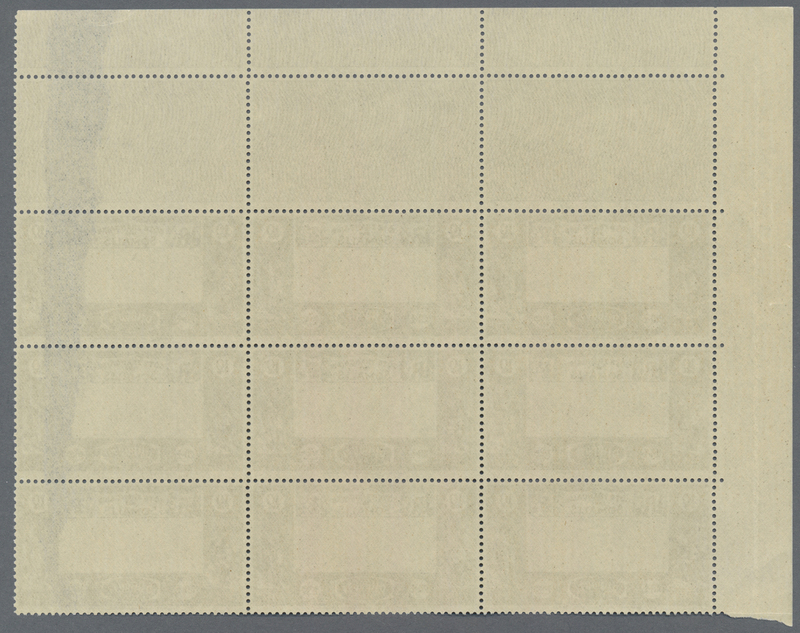 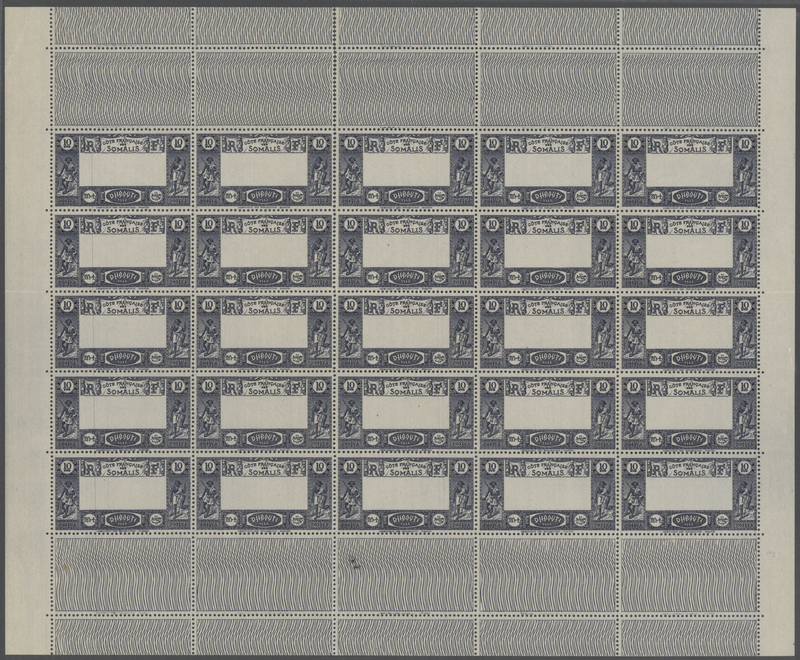 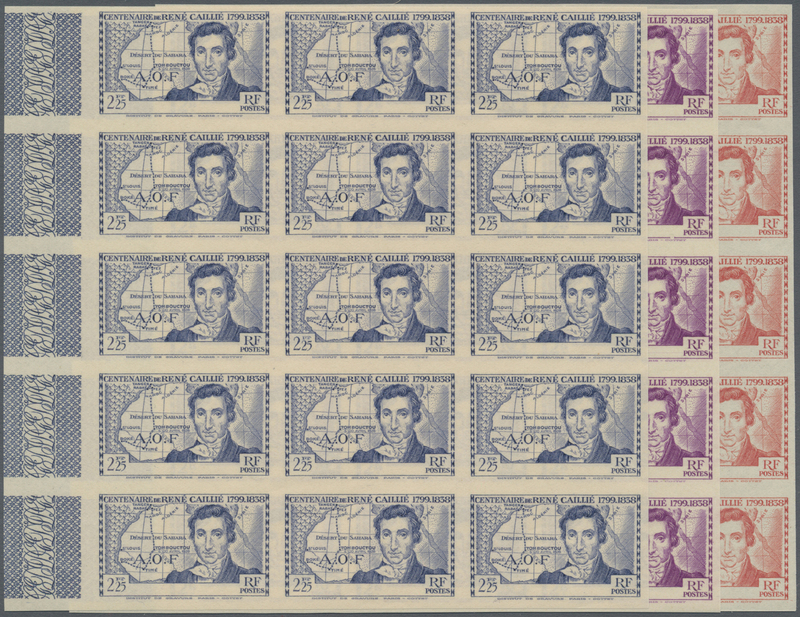 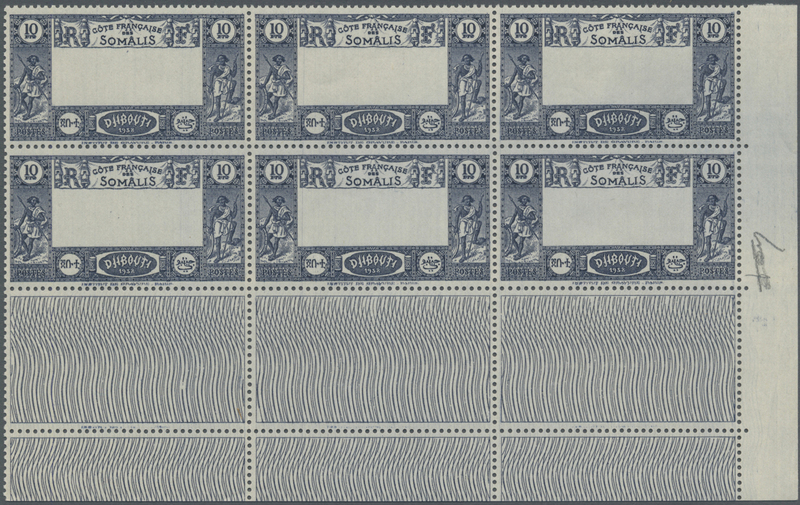 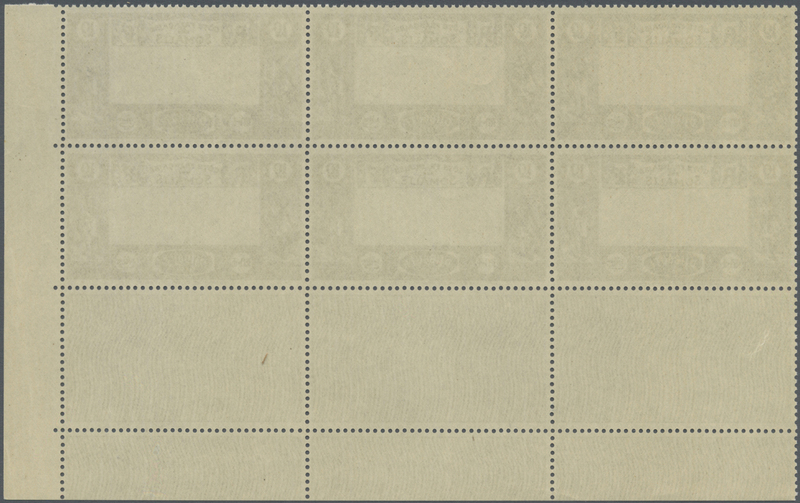 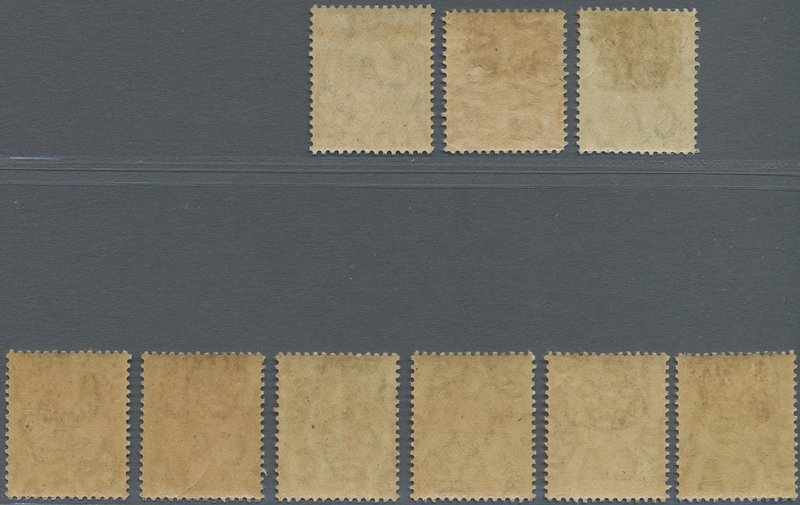 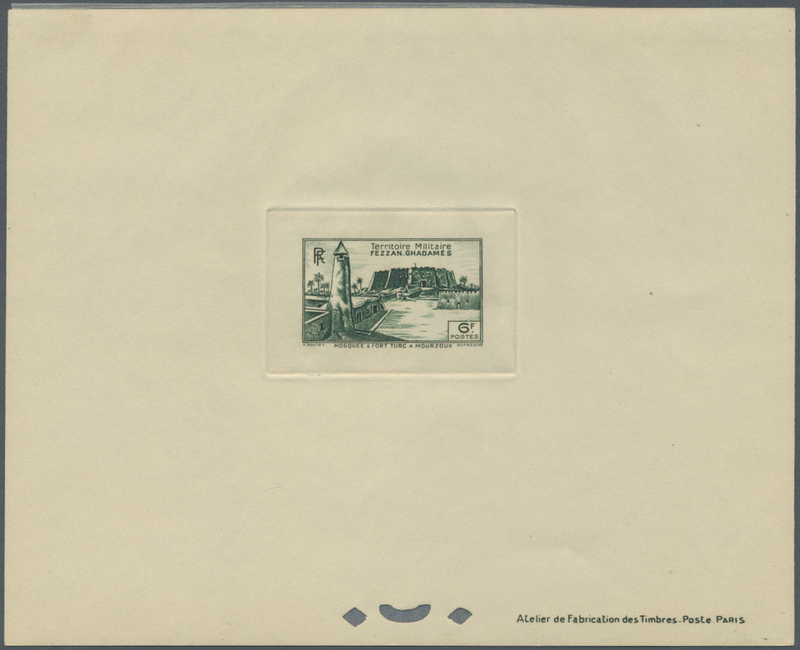 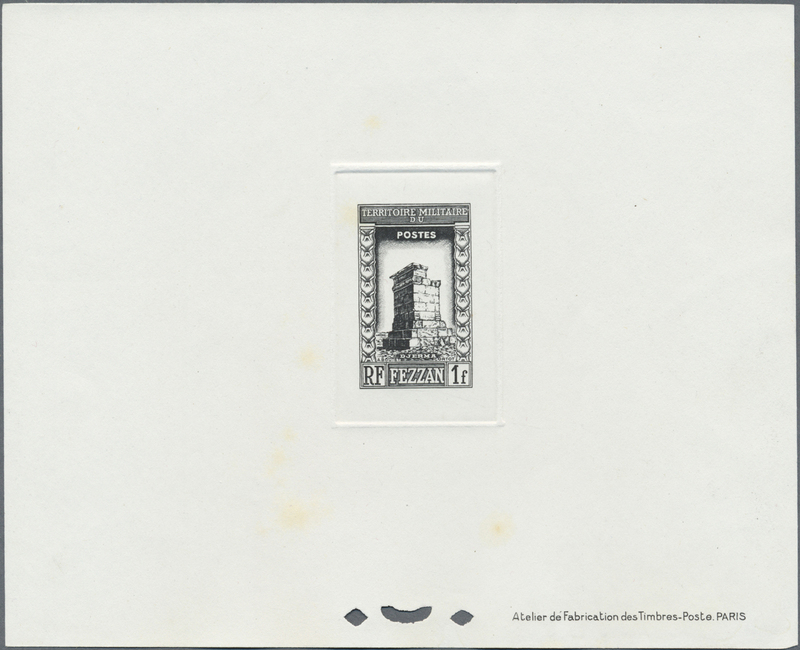 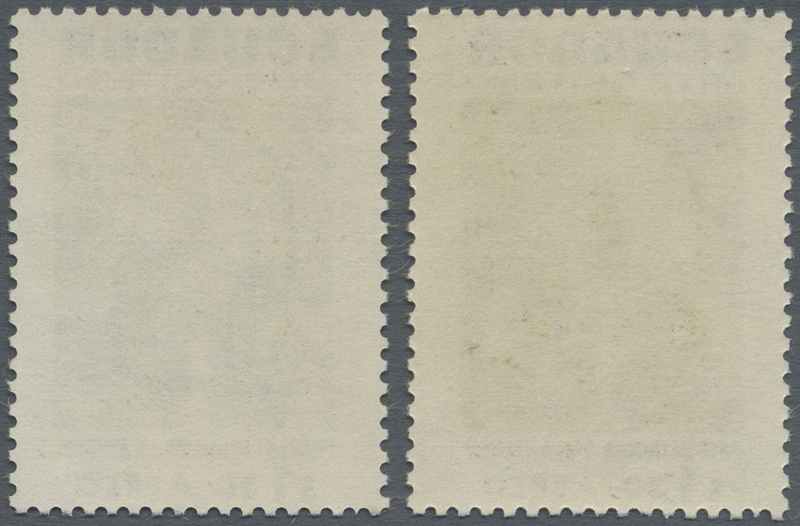 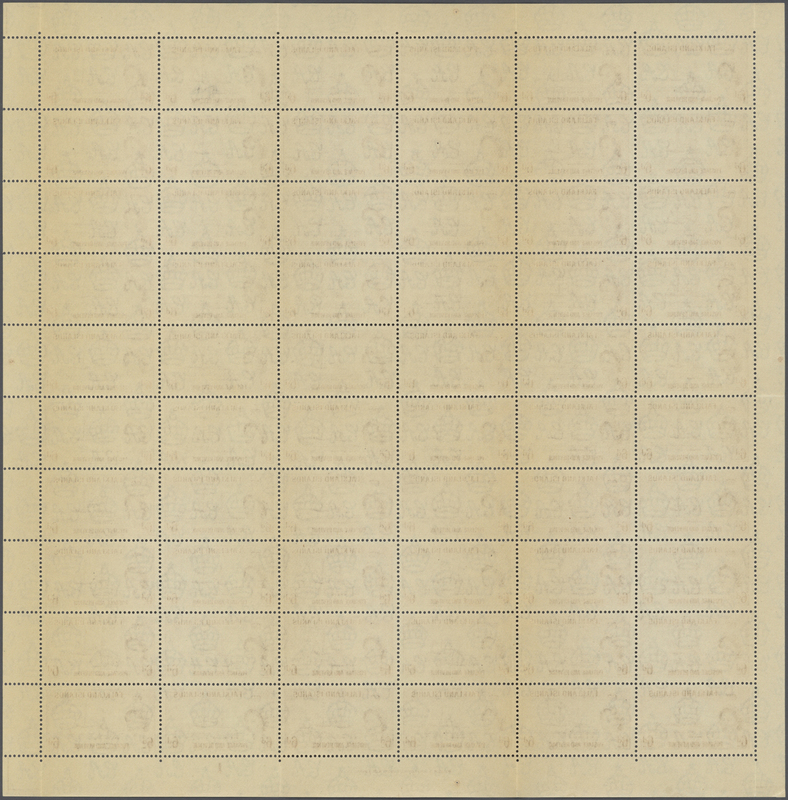 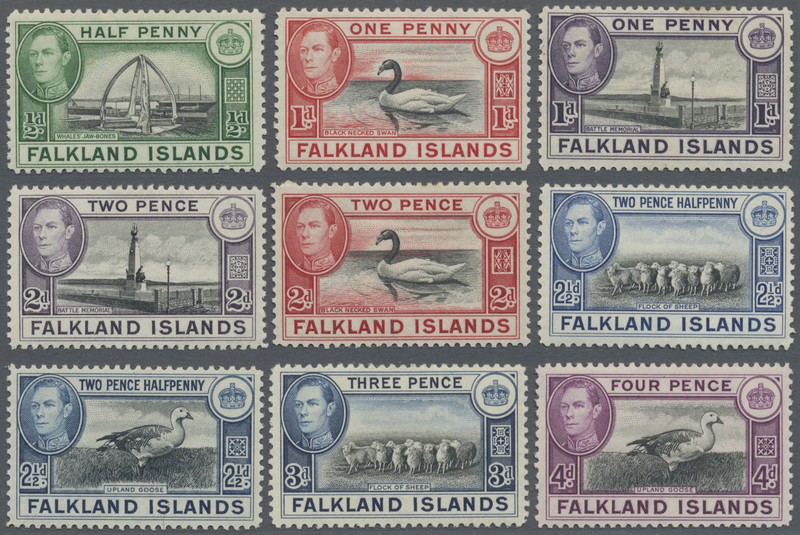 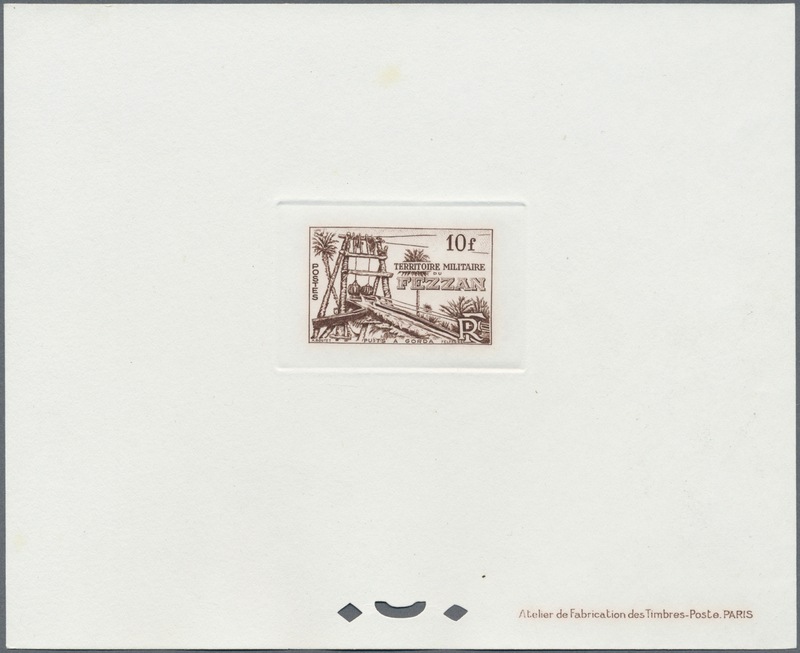 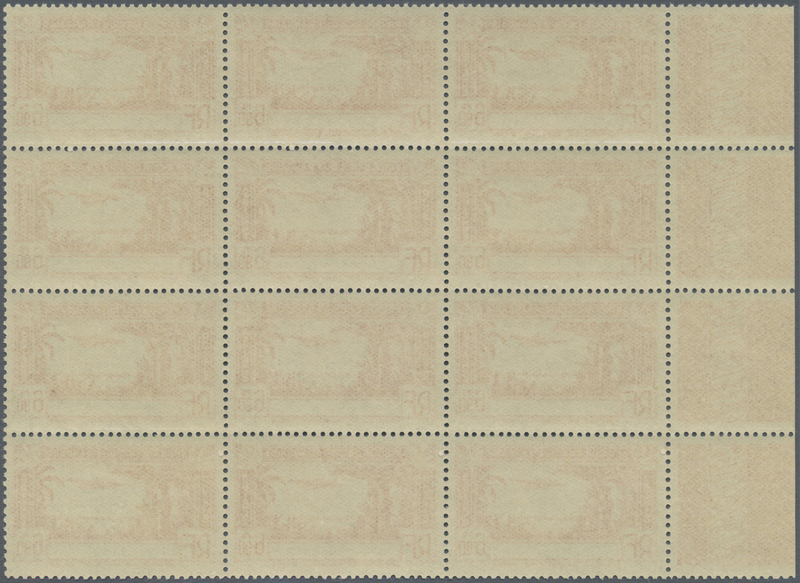 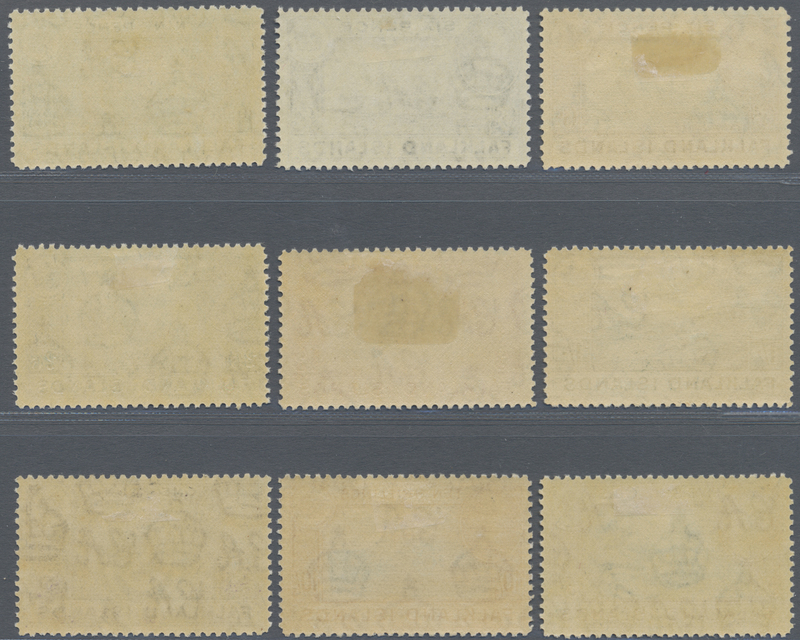 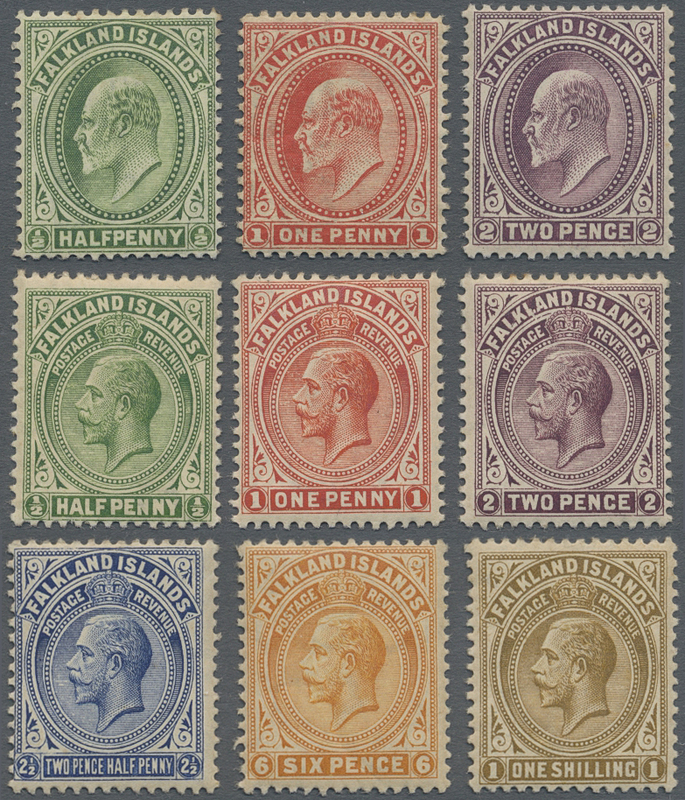 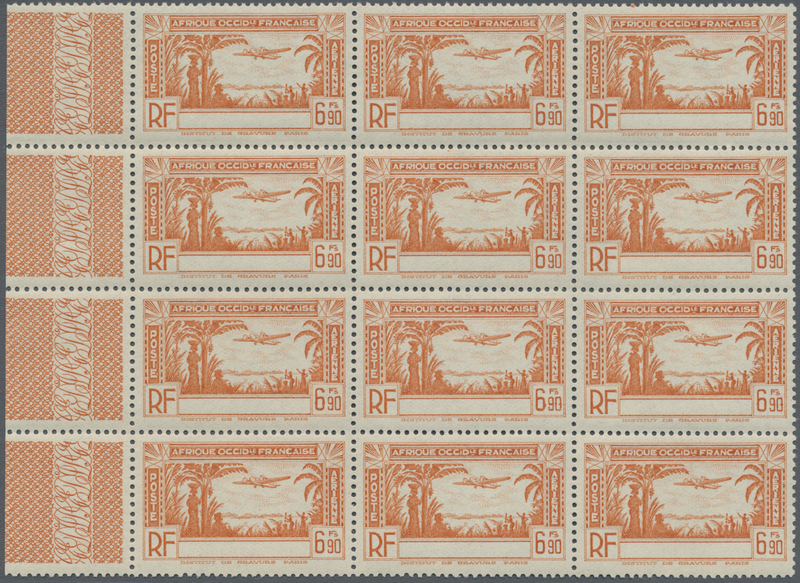 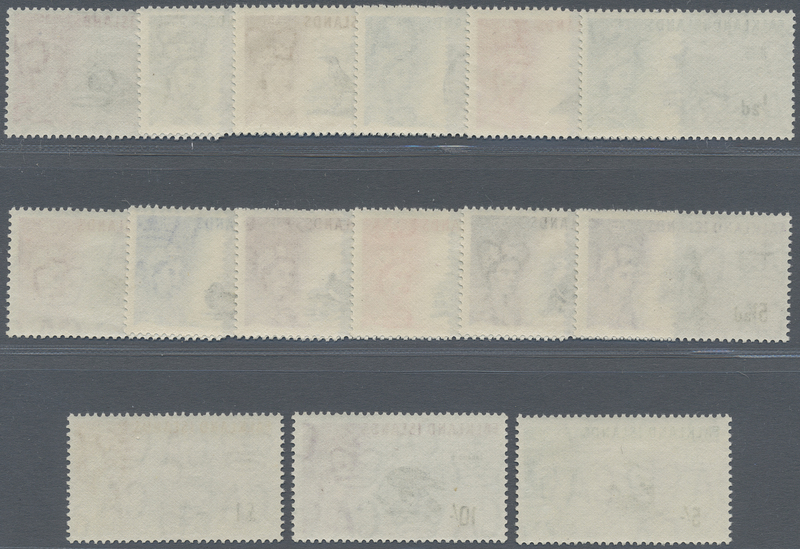 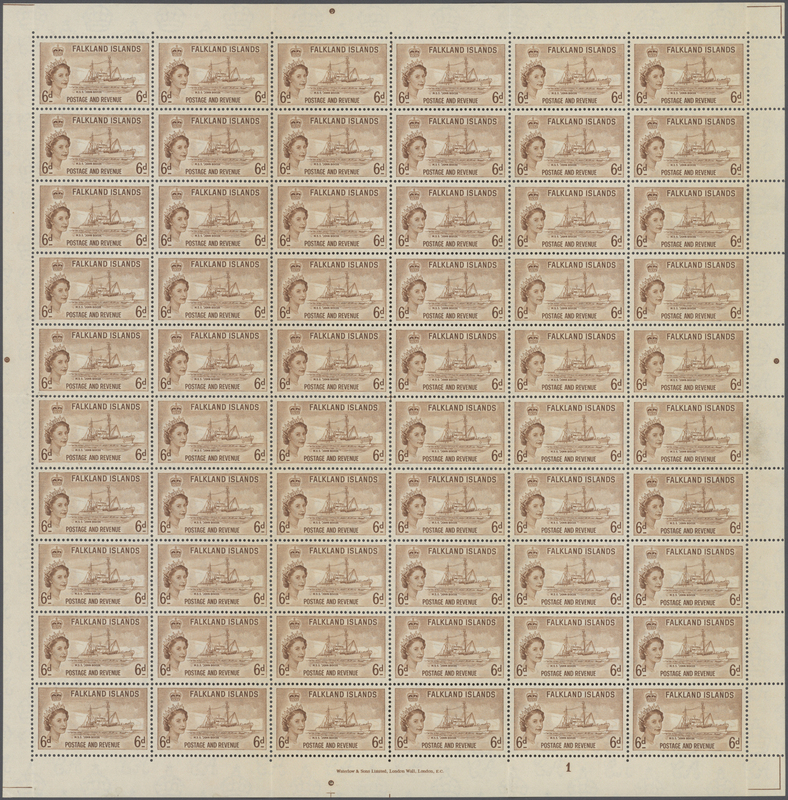 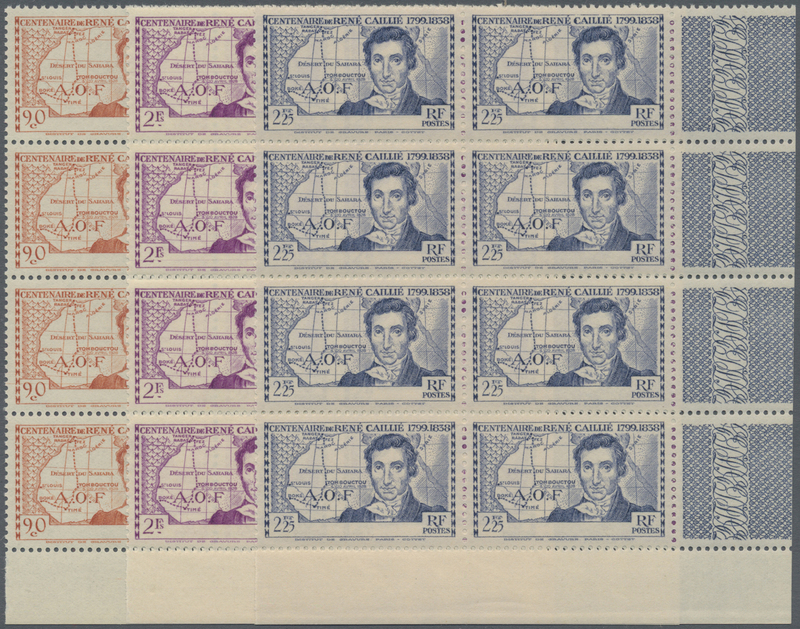 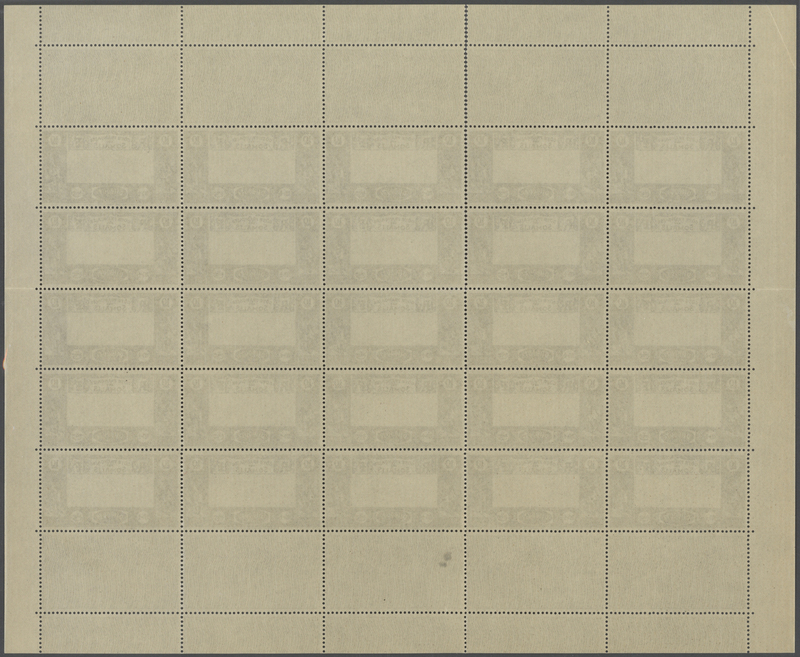 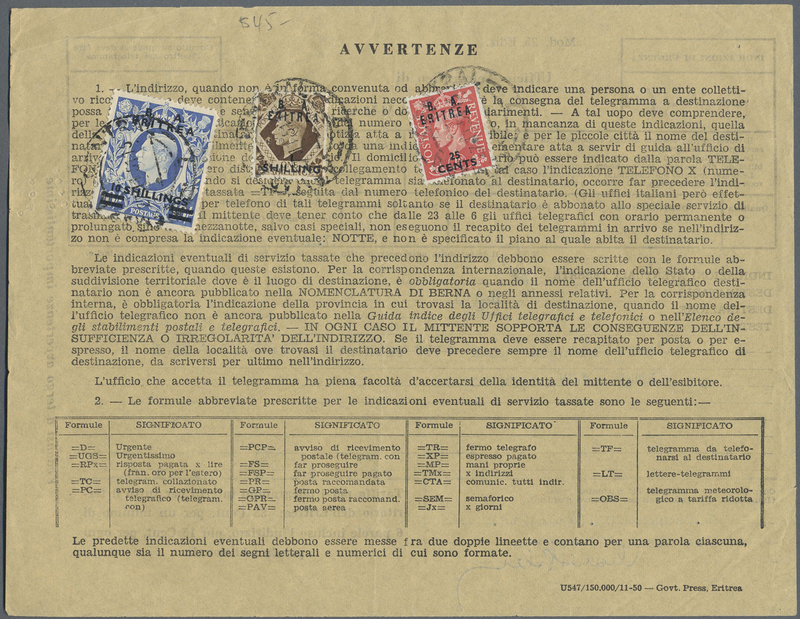 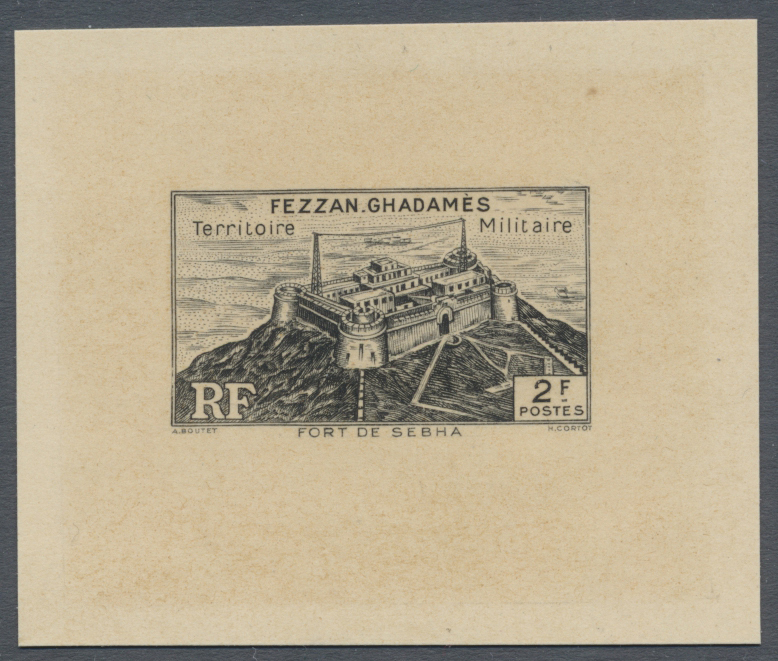 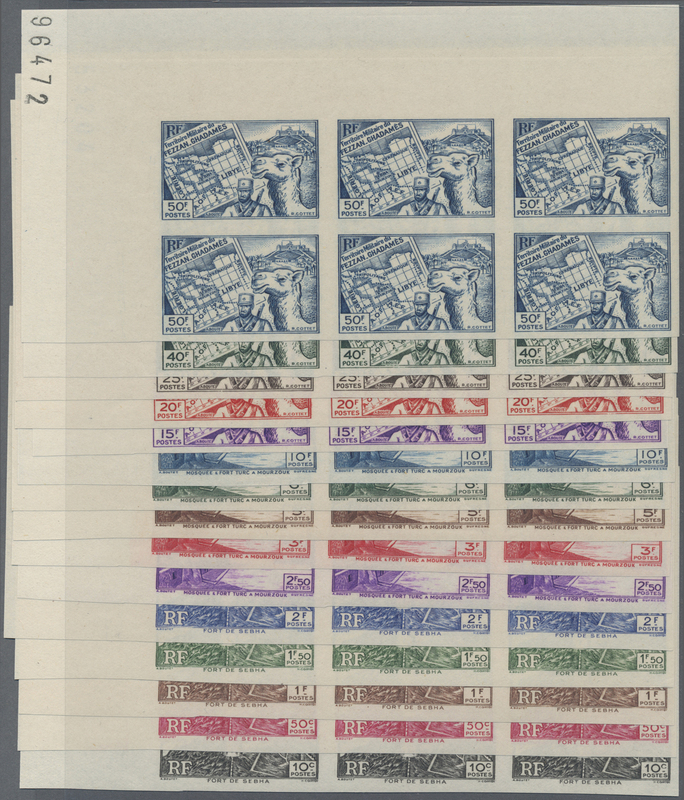 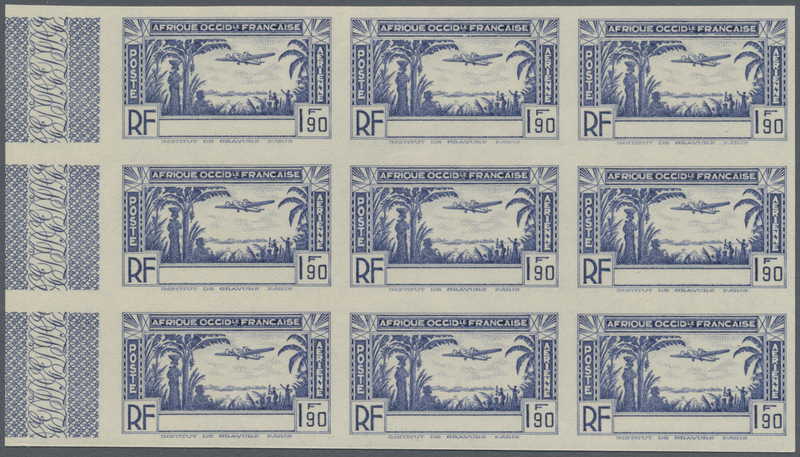 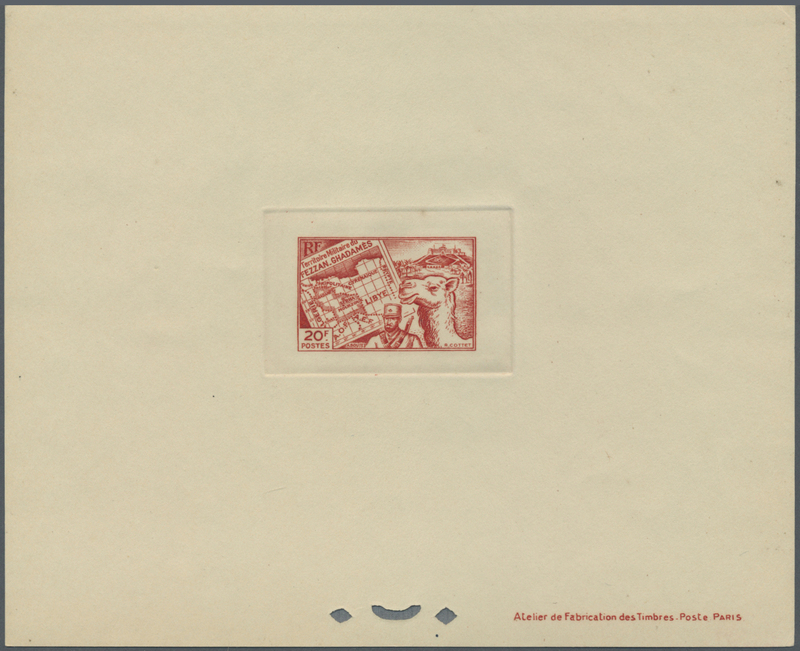 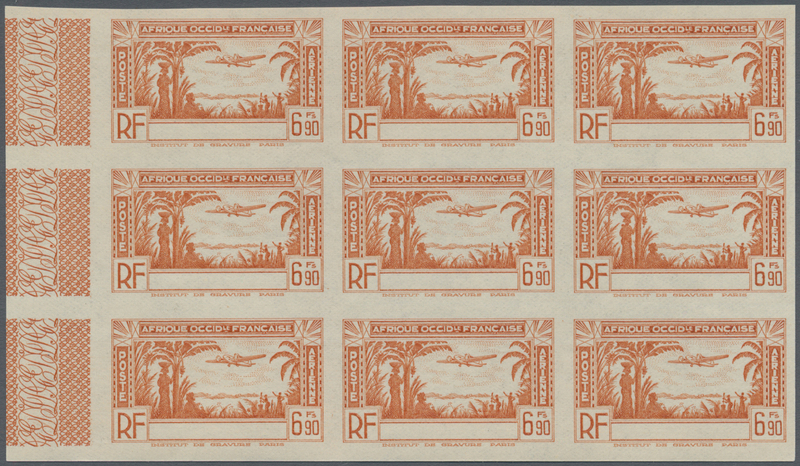 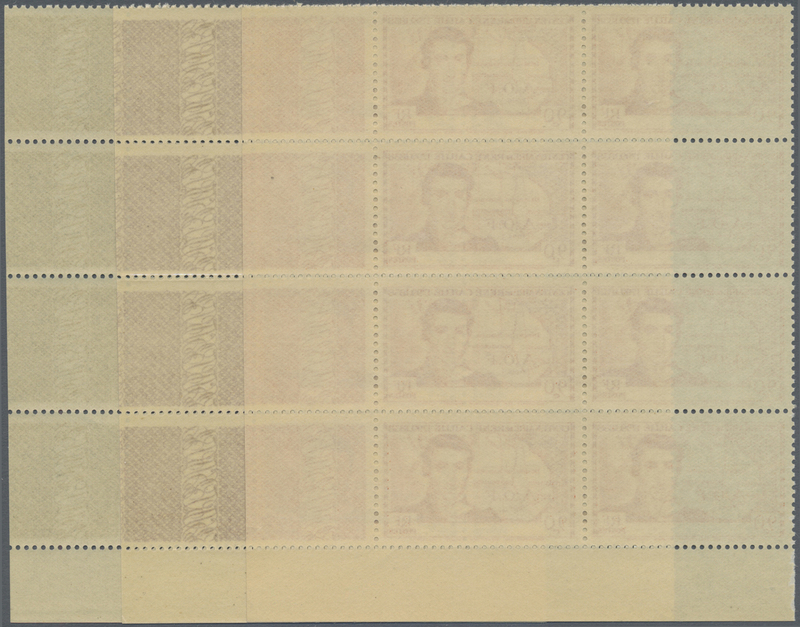 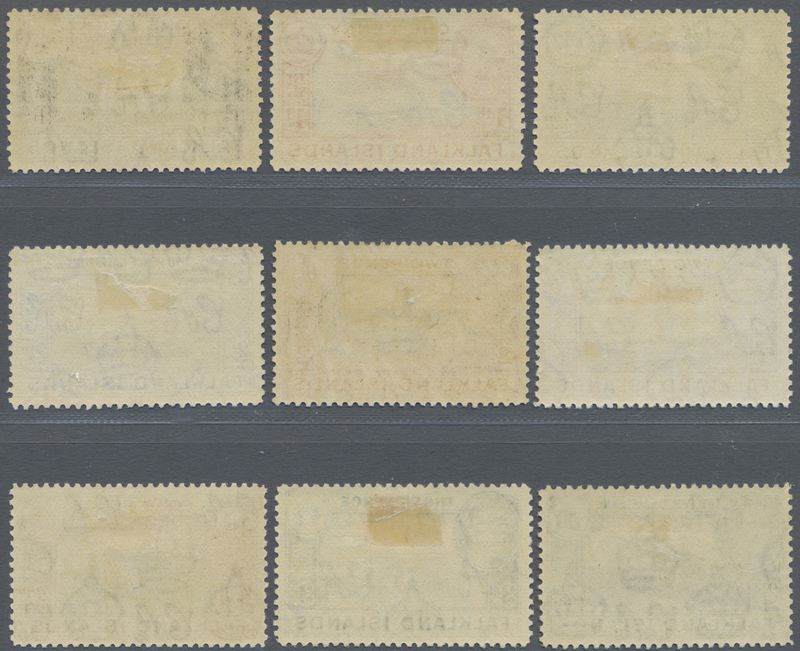 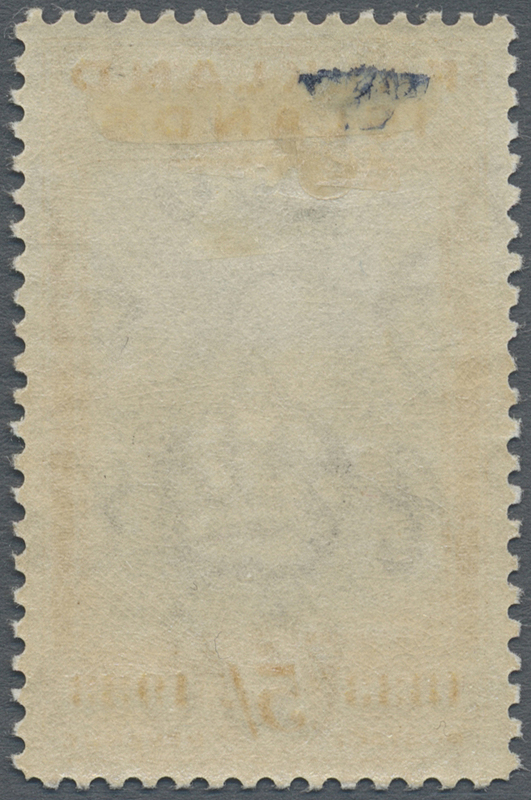 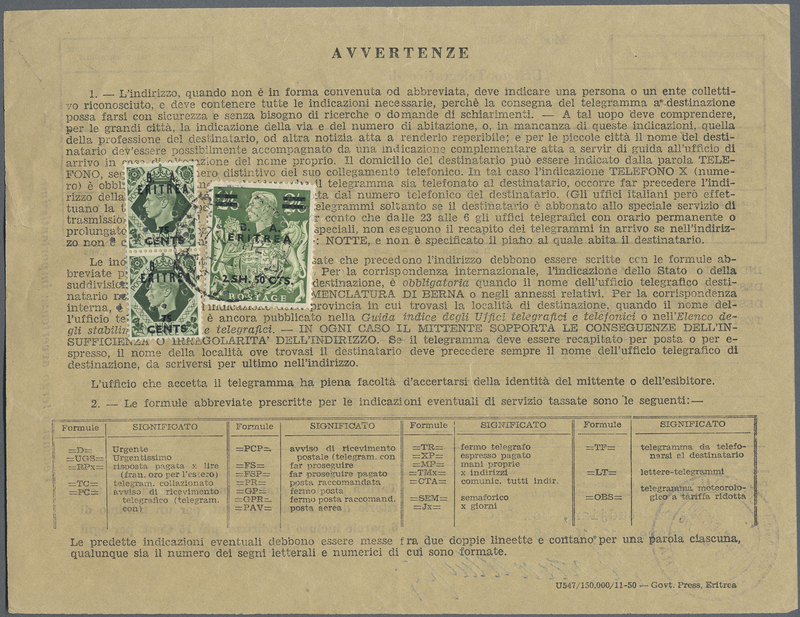 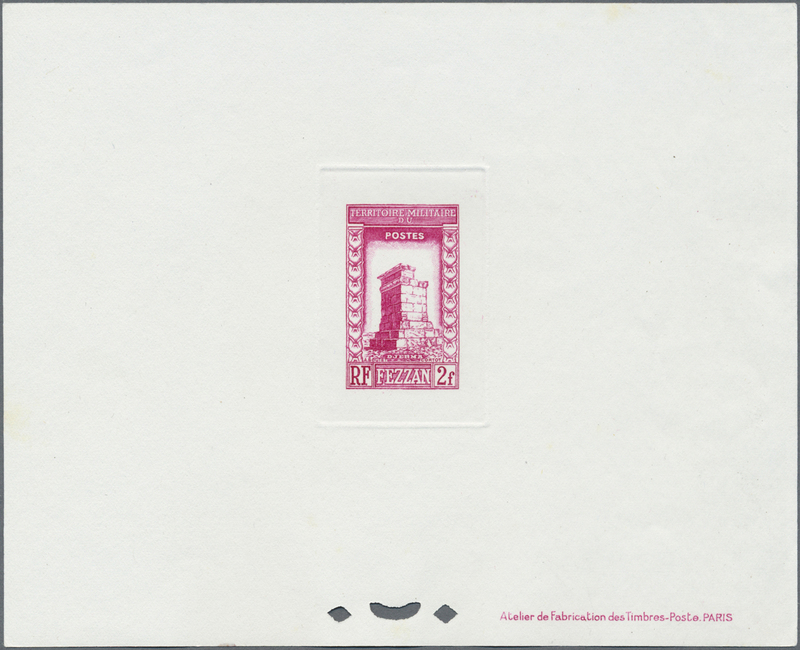 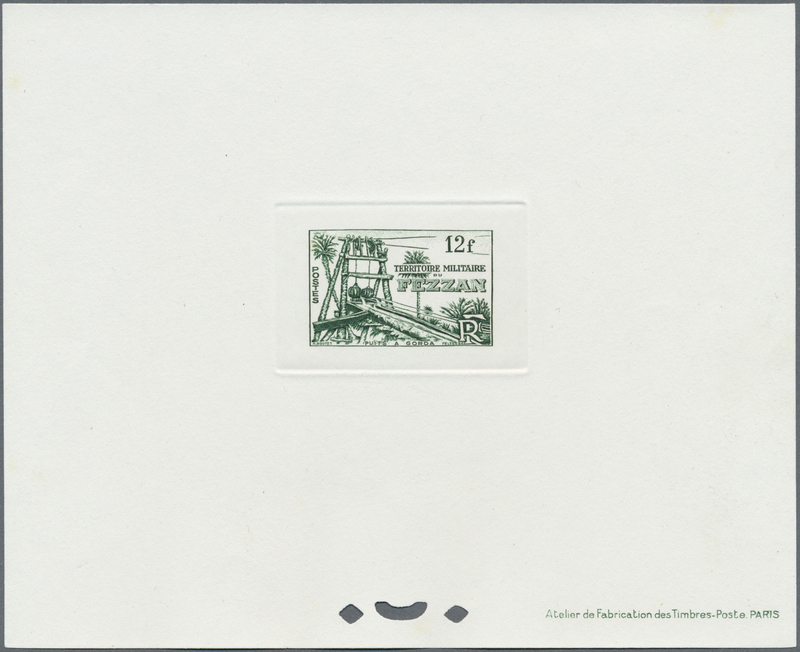 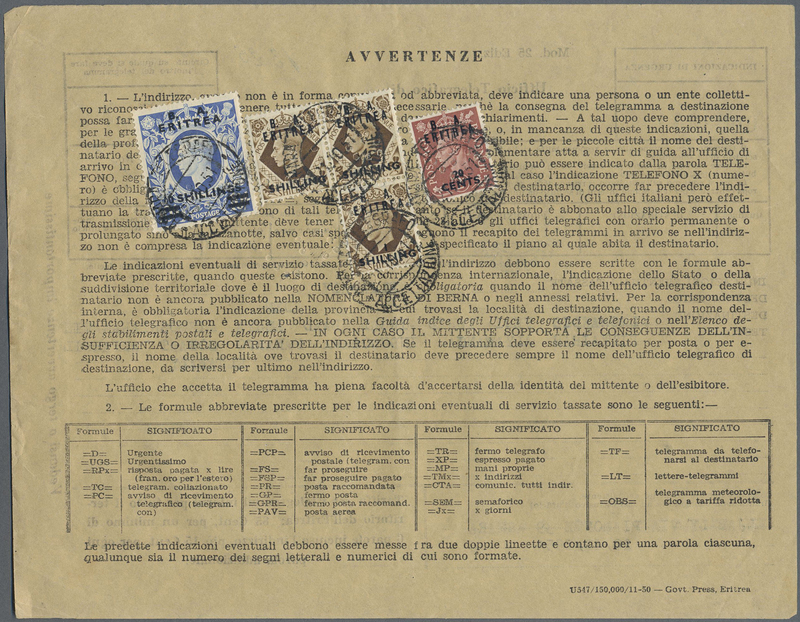 Lot with eight single epreuves d'atelier for some stamps of the definitives set (Sc #2N1/2N2, 2N5/2N6/2N7, 2N8/2N9 and 2N11).